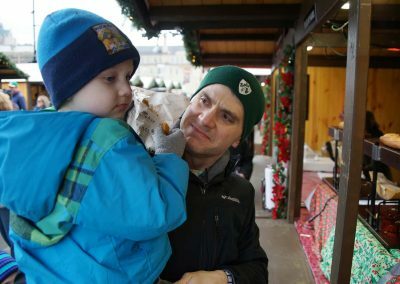 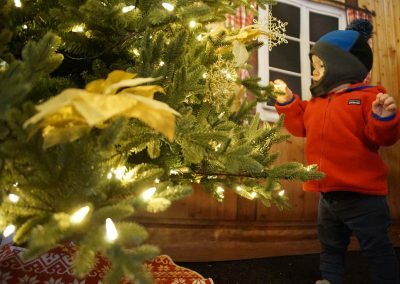 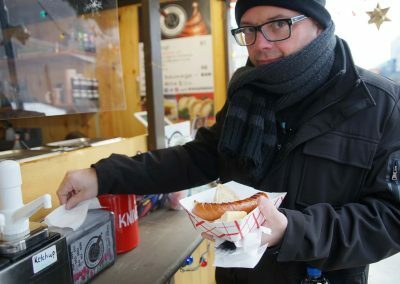 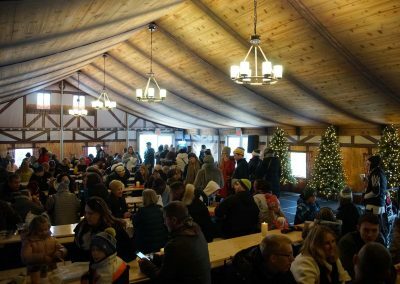 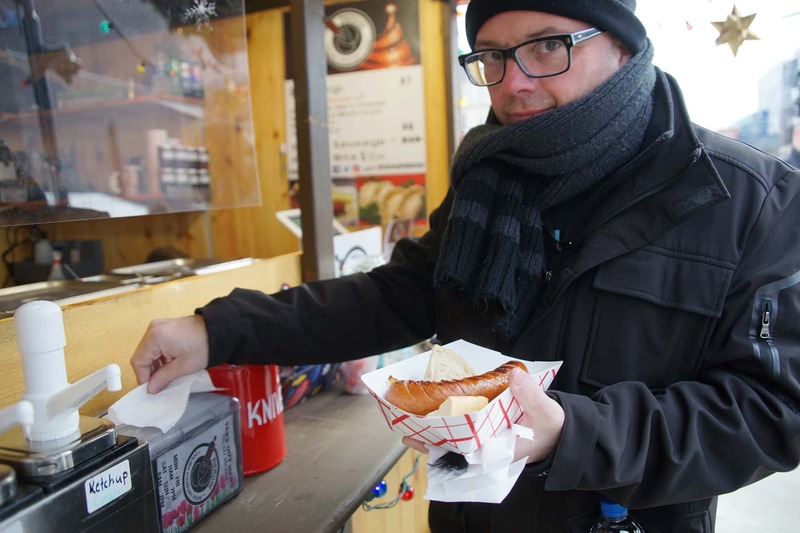 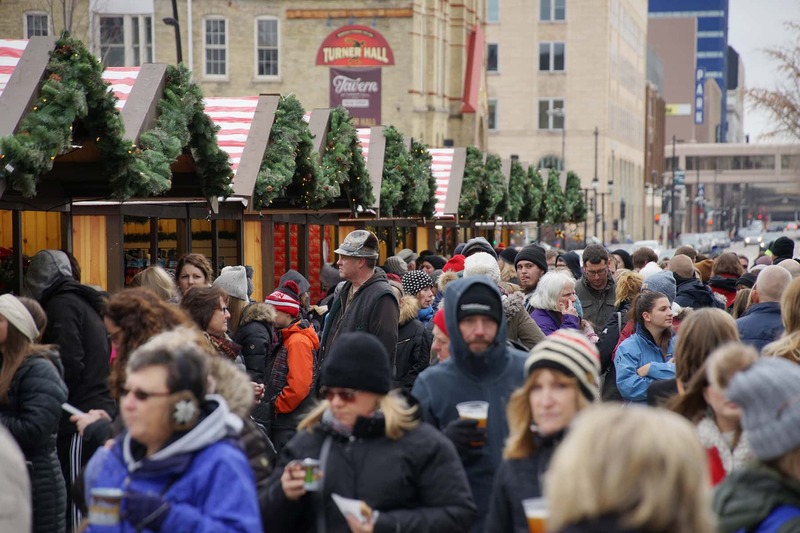 Milwaukee’s first Christkindlmarket kicked off on November 17, bringing an authentic German holiday festival to downtown that will run until December 31. 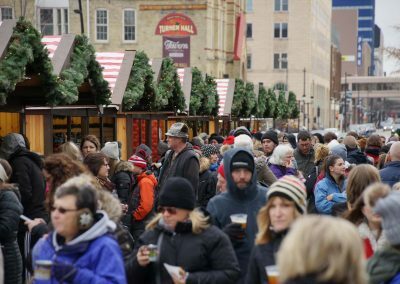 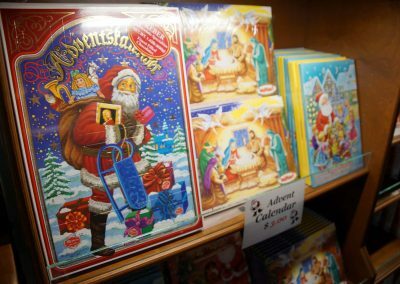 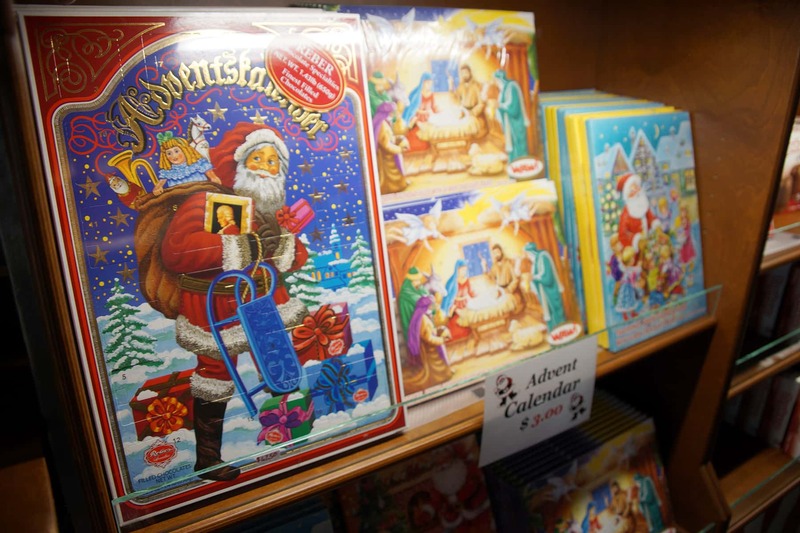 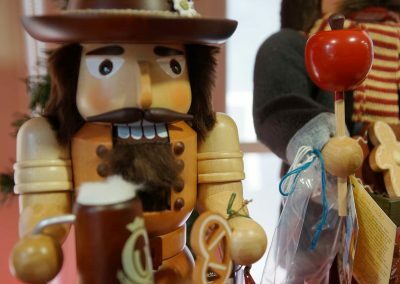 Popular in cities like Chicago, Baltimore, and Denver, Milwaukee finally has its turn to showcase its German roots for Christmas festivities. 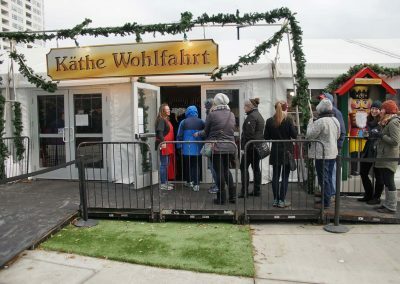 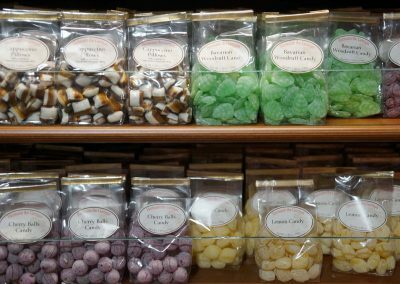 The seasonal market was located on the edge of Old World Third Street, the city’s epicenter of living German heritage. 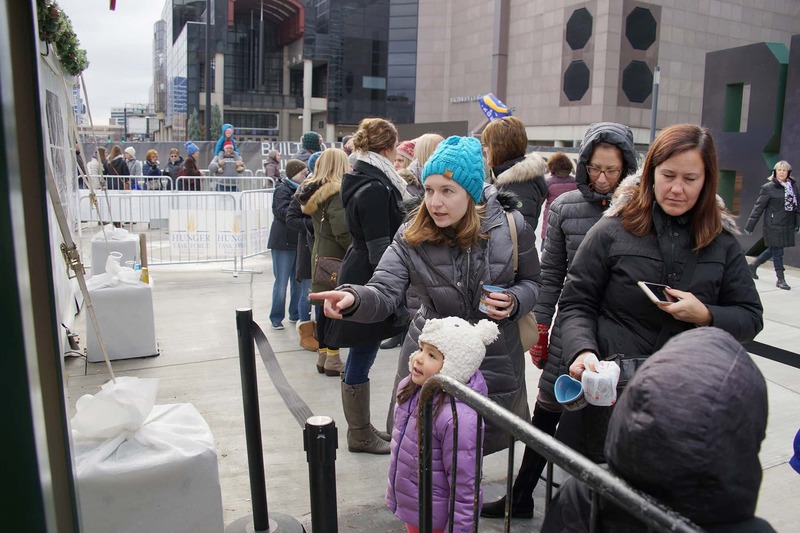 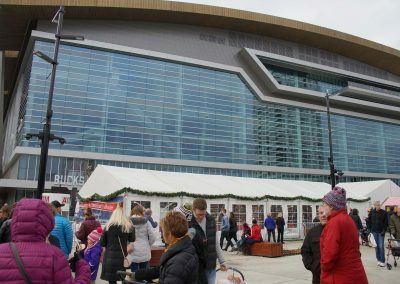 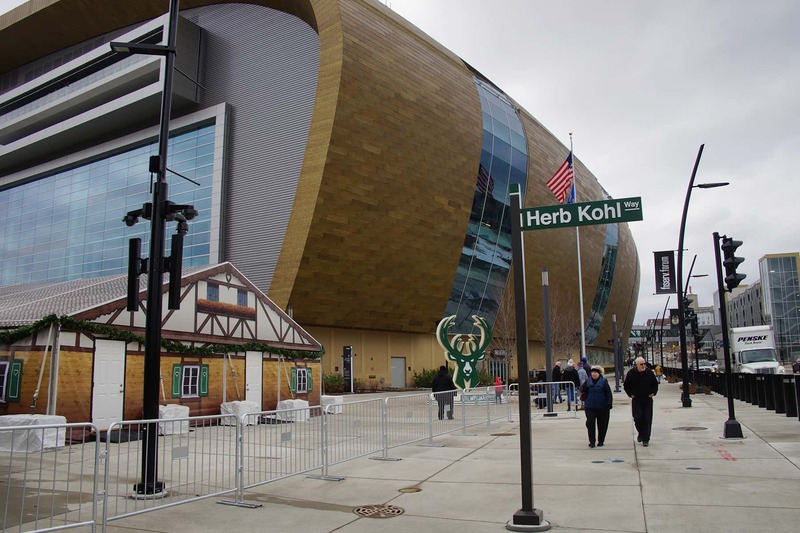 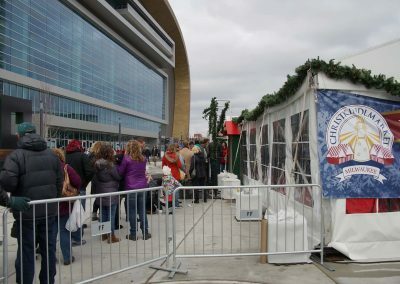 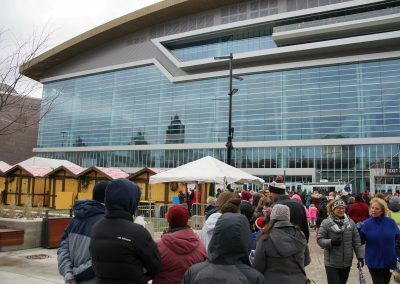 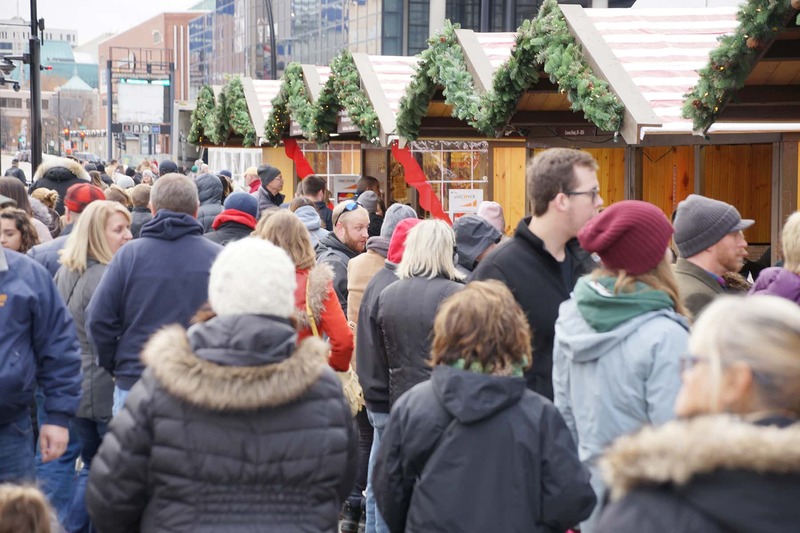 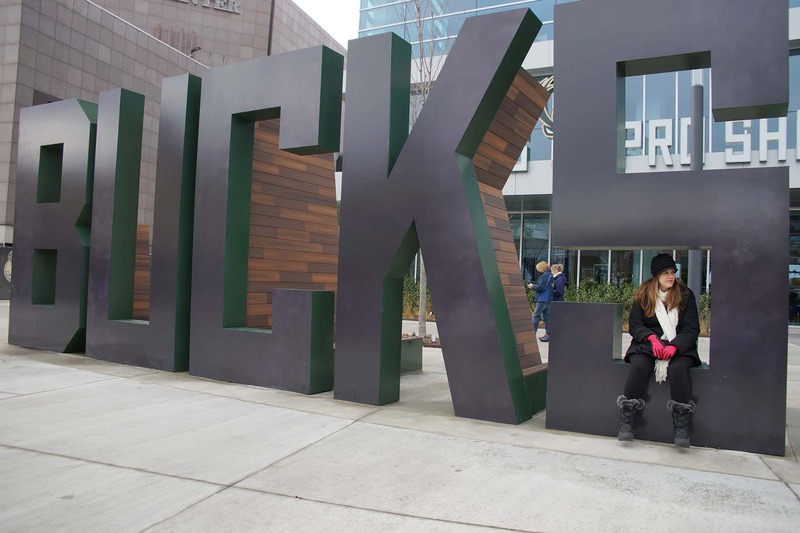 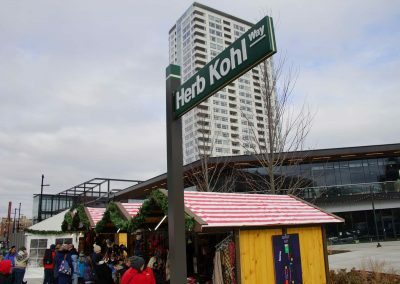 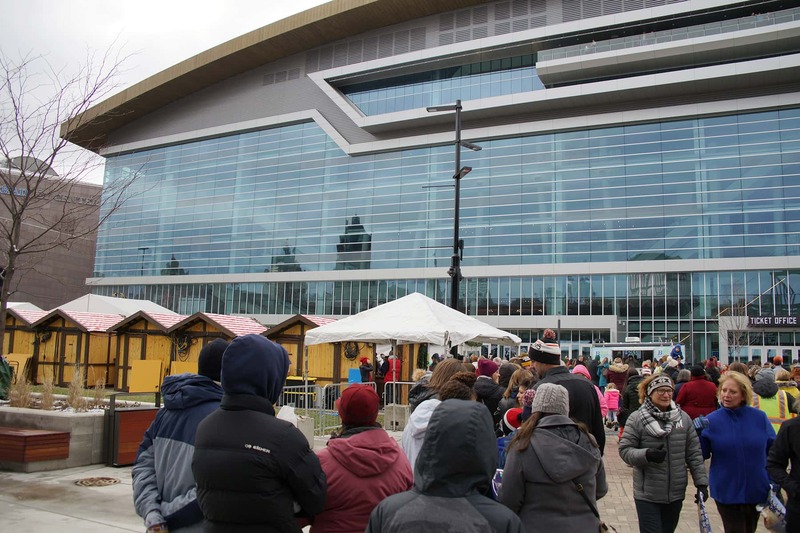 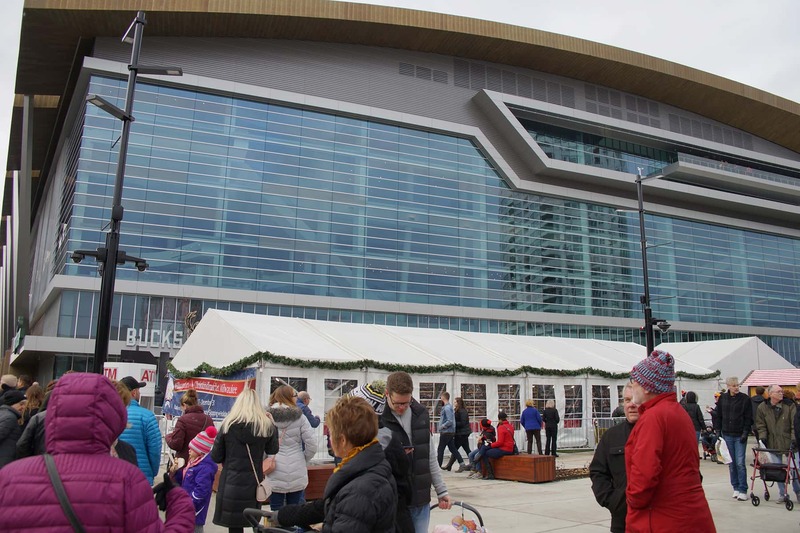 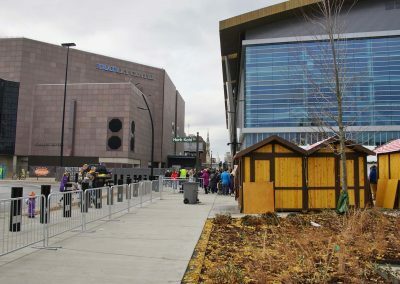 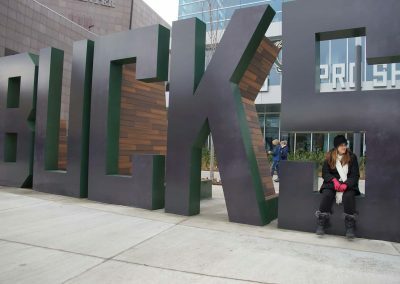 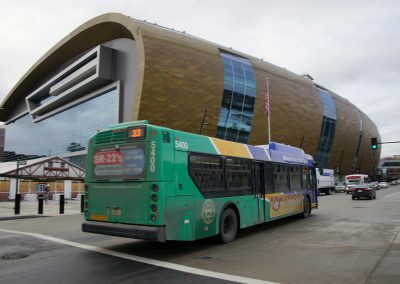 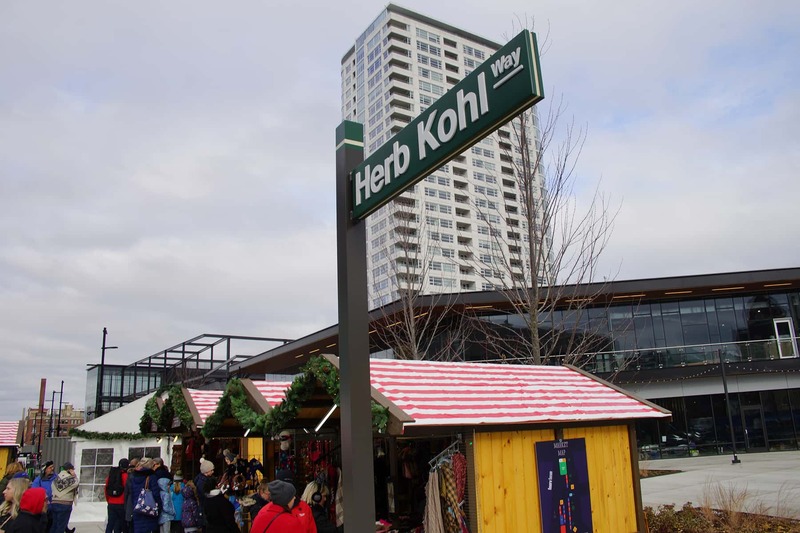 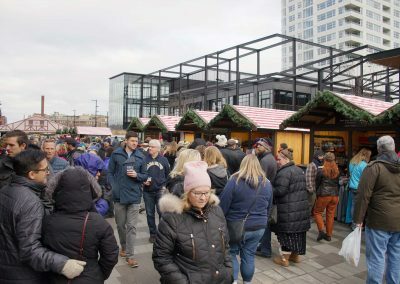 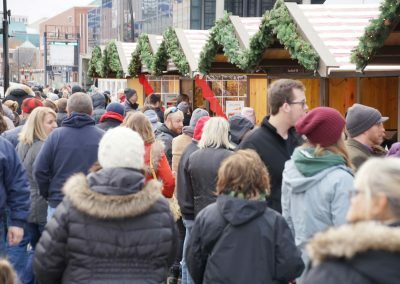 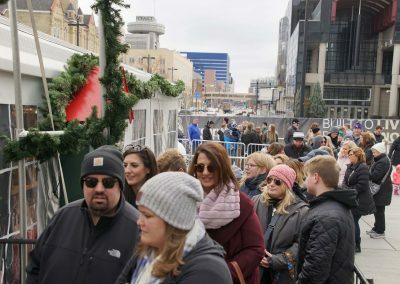 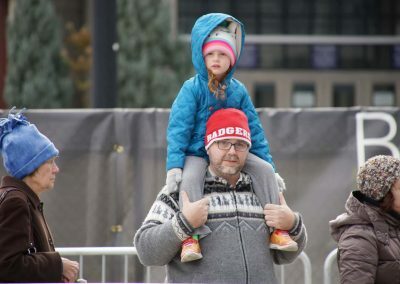 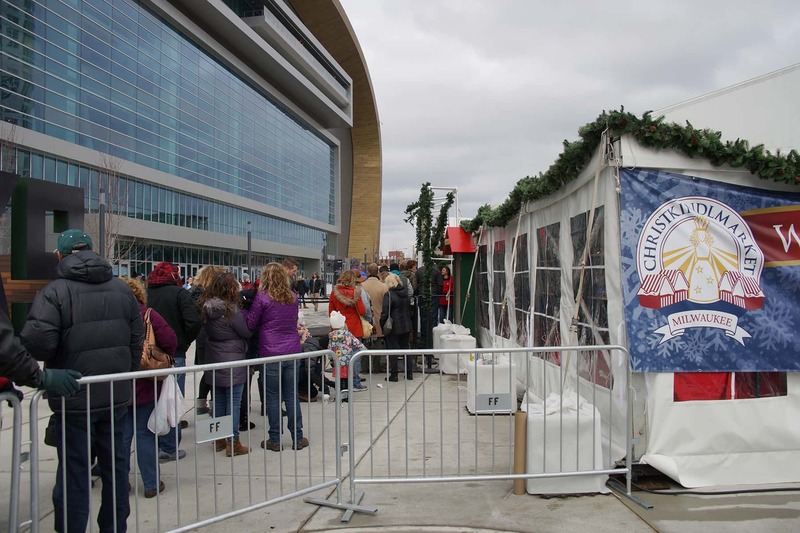 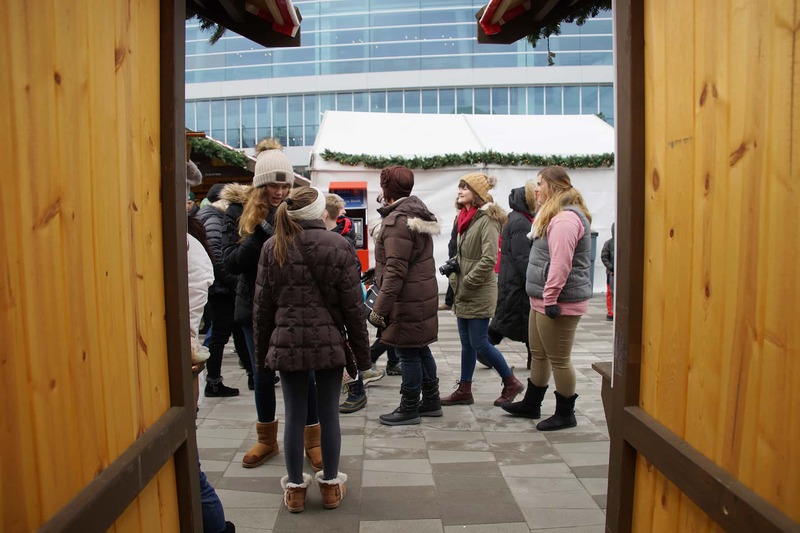 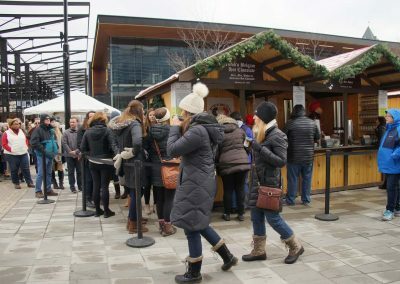 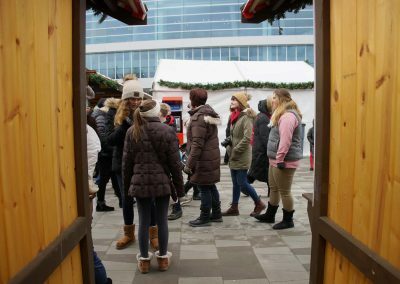 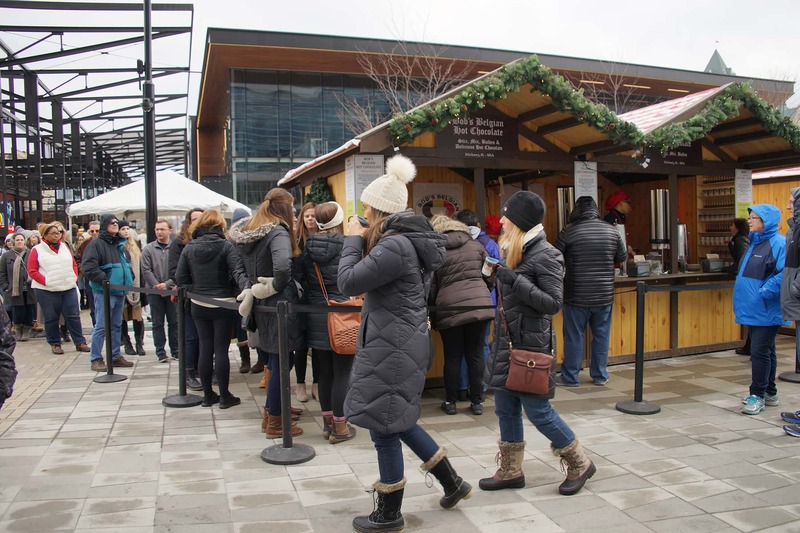 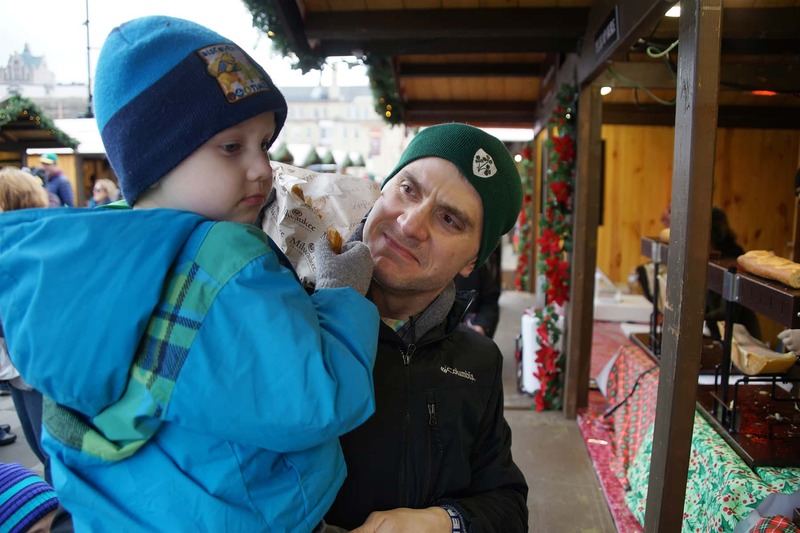 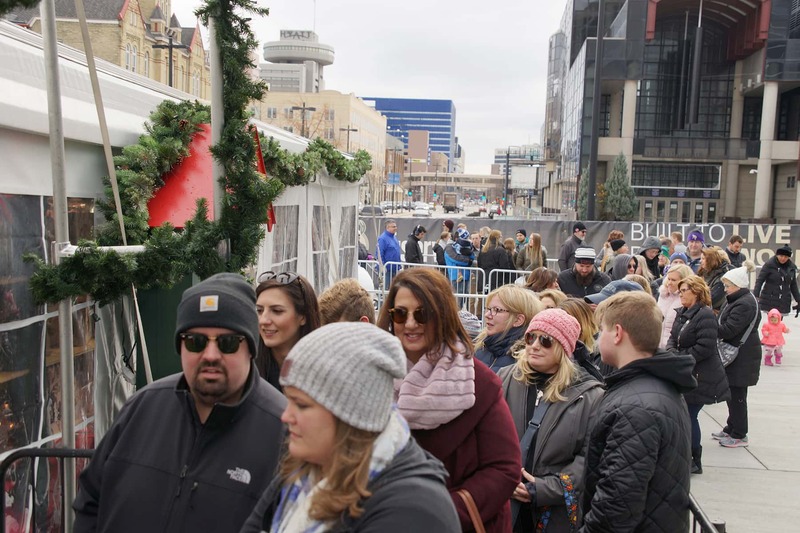 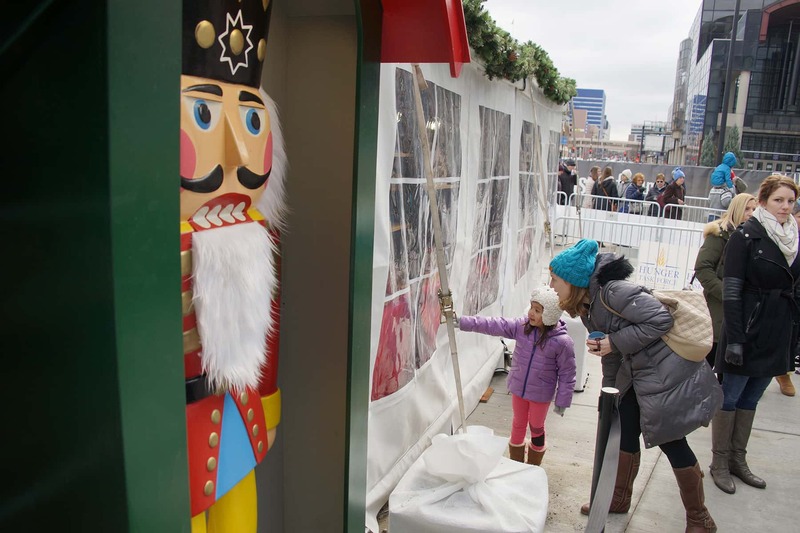 Announced several months ago by Peter Feigin, President of the Milwaukee Bucks, Christkindlmarket Milwaukee transformed the Fiserv Forum’s plaza into a picturesque holiday village. 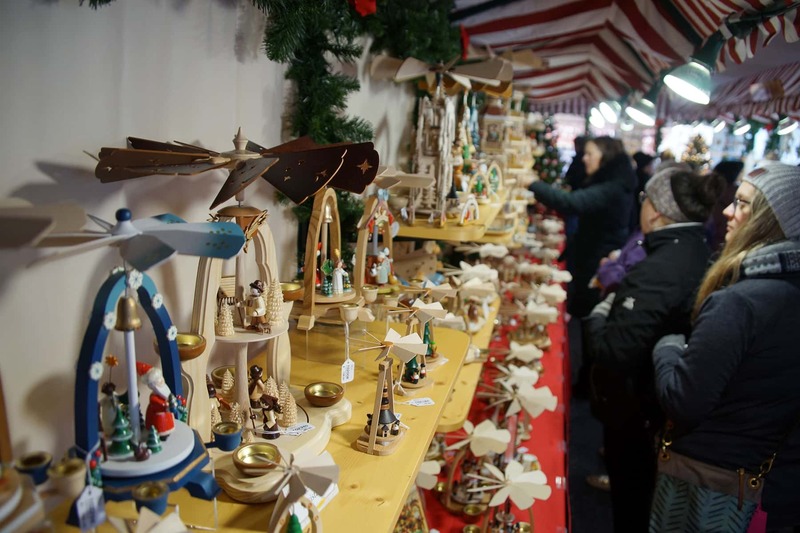 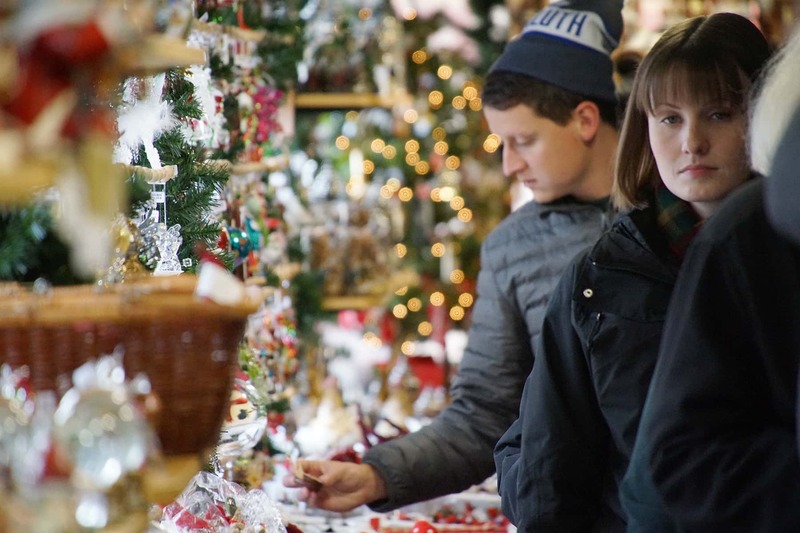 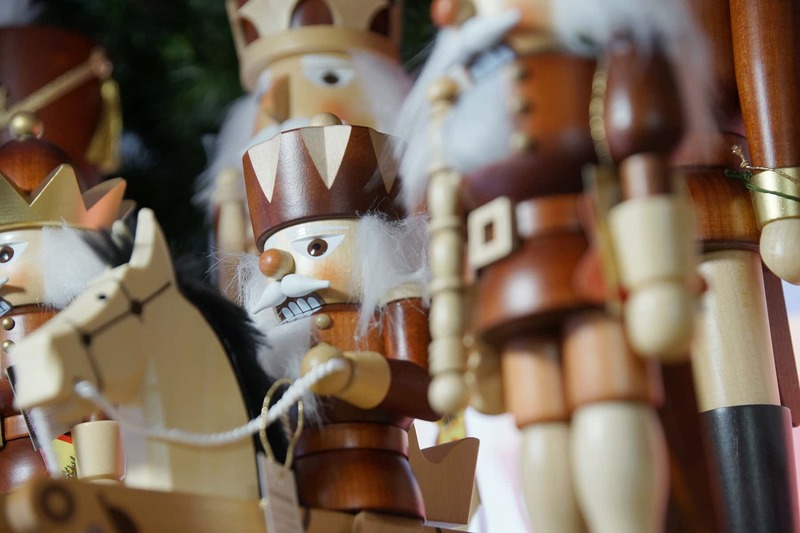 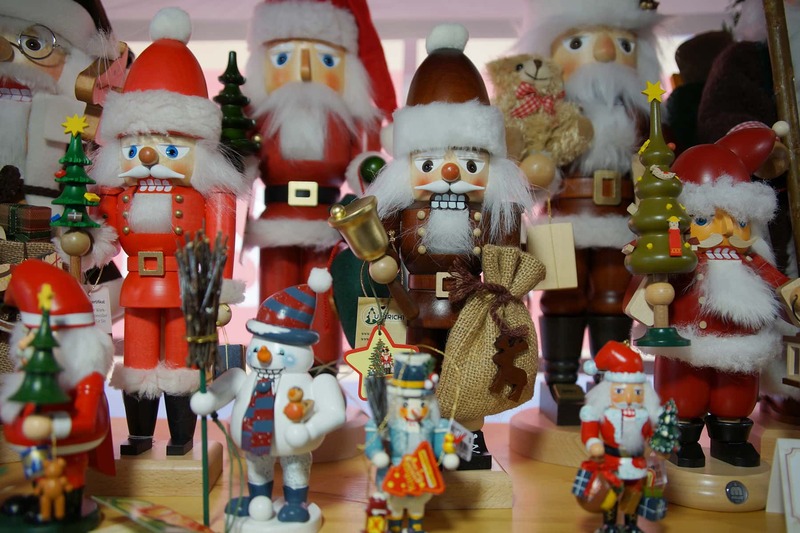 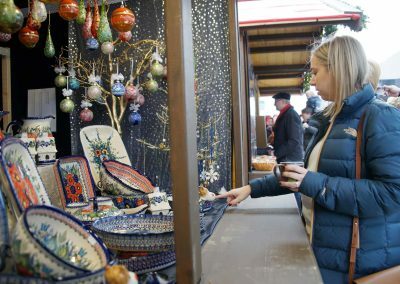 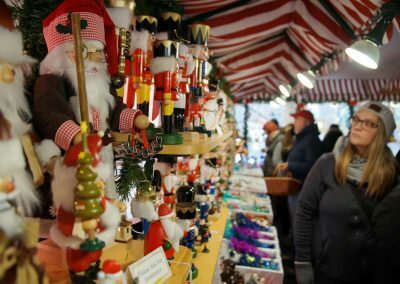 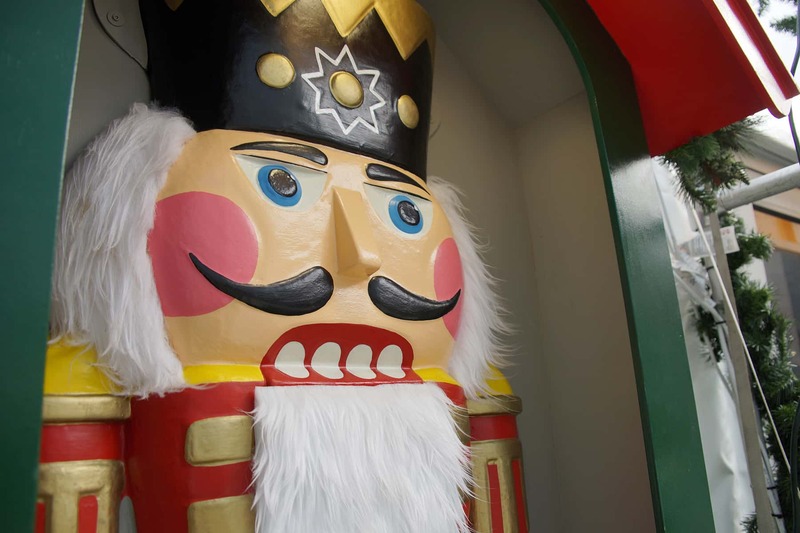 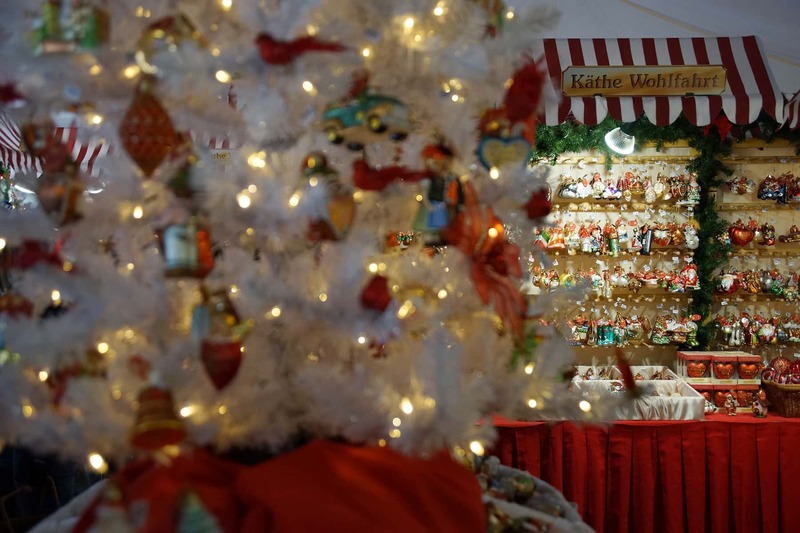 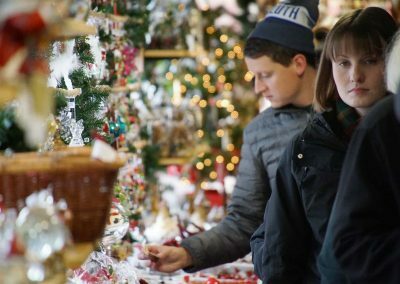 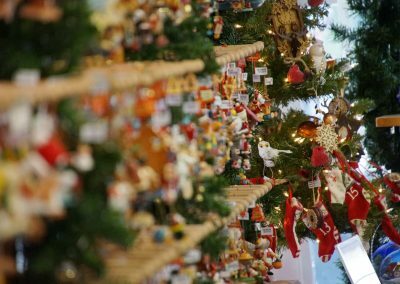 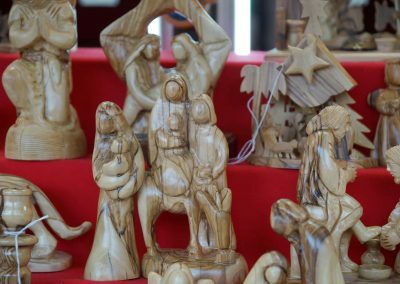 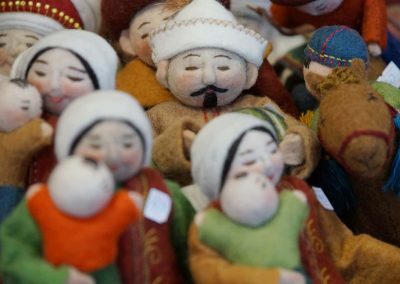 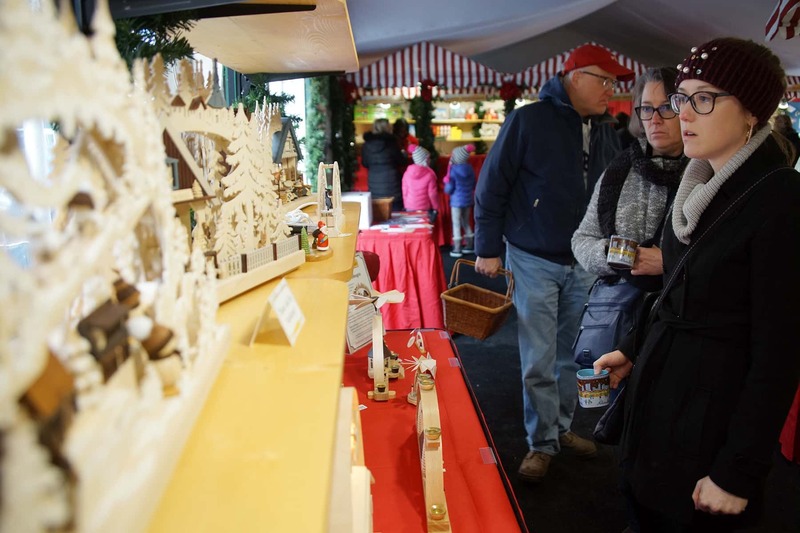 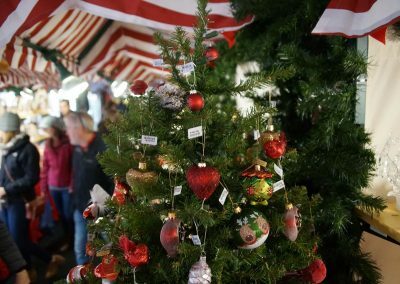 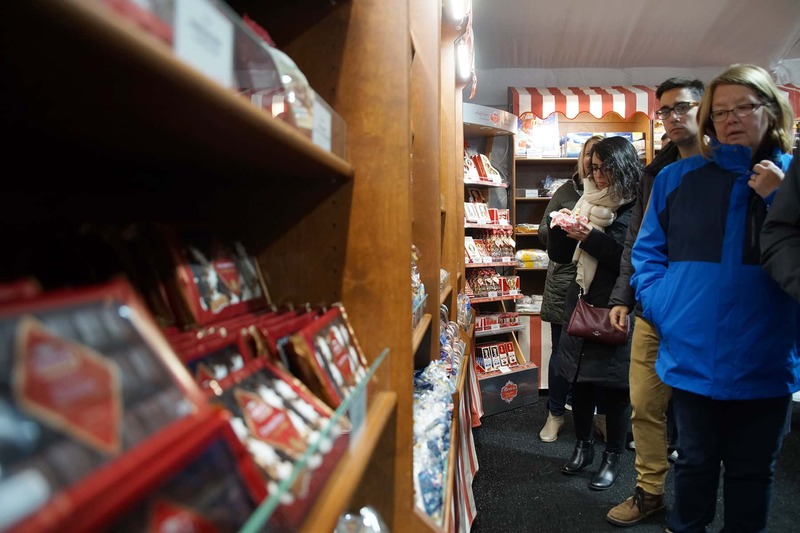 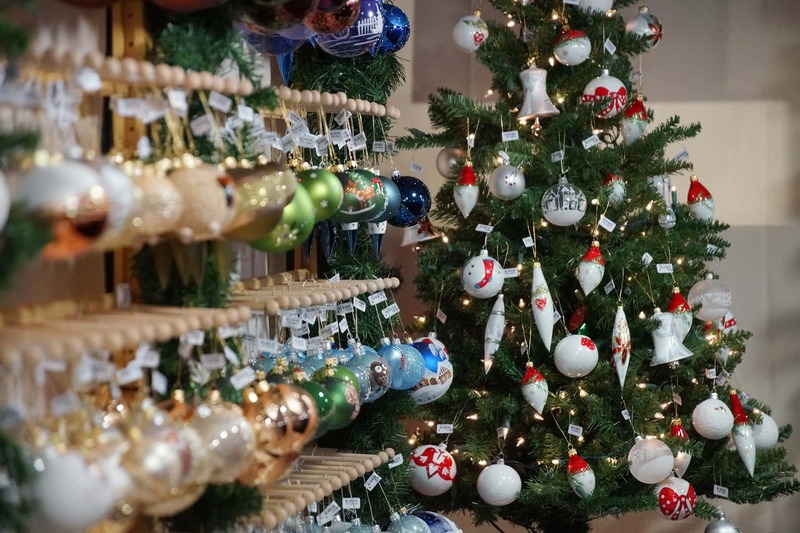 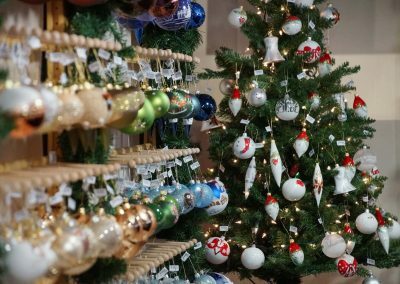 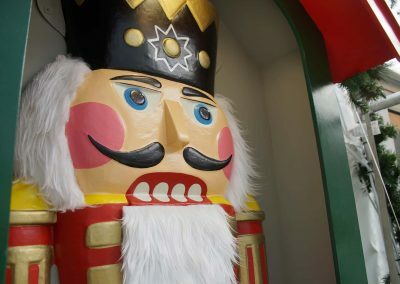 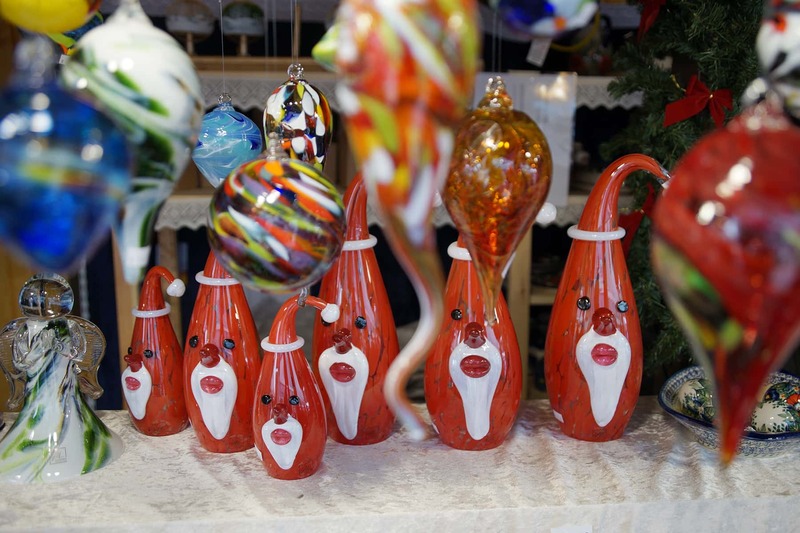 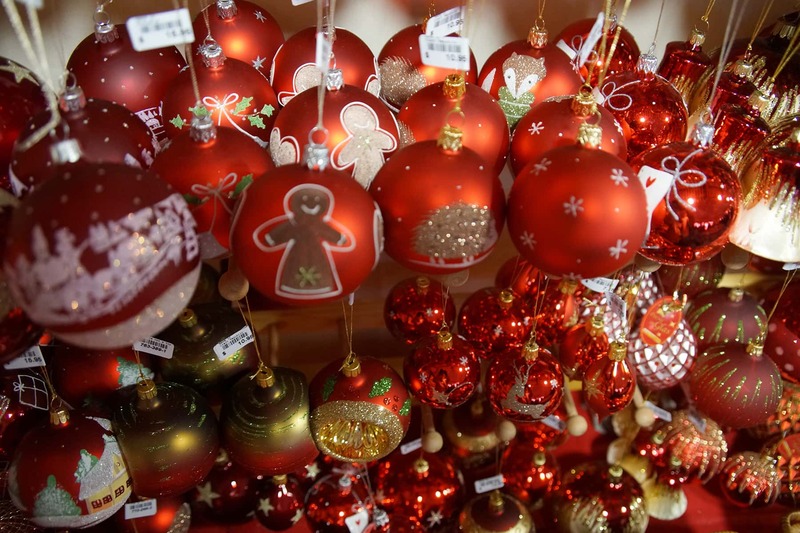 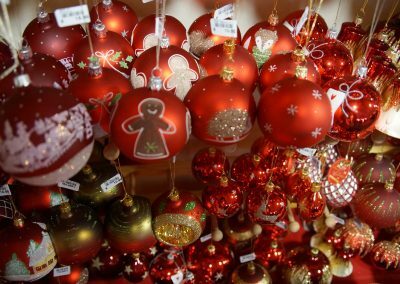 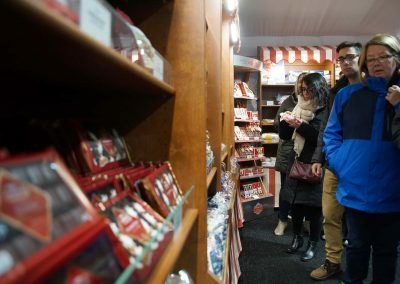 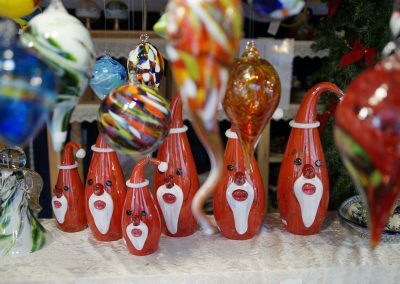 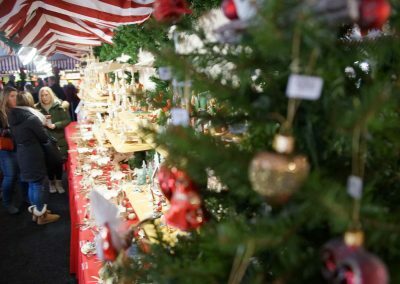 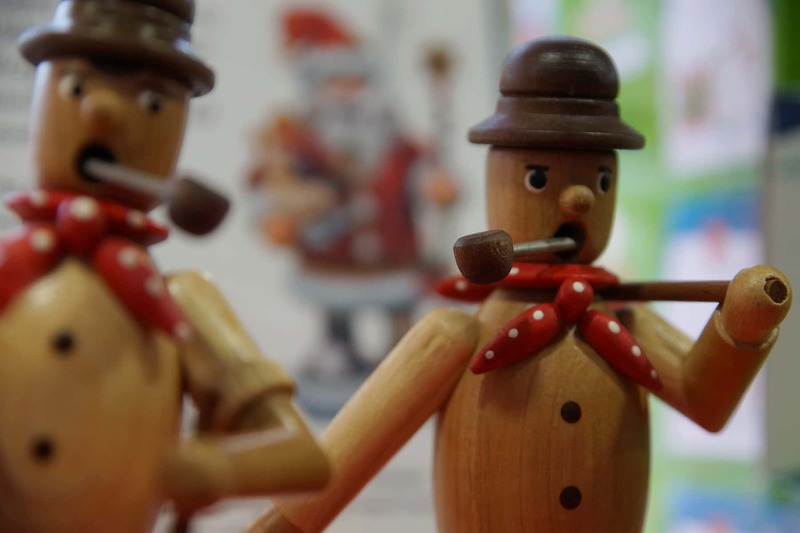 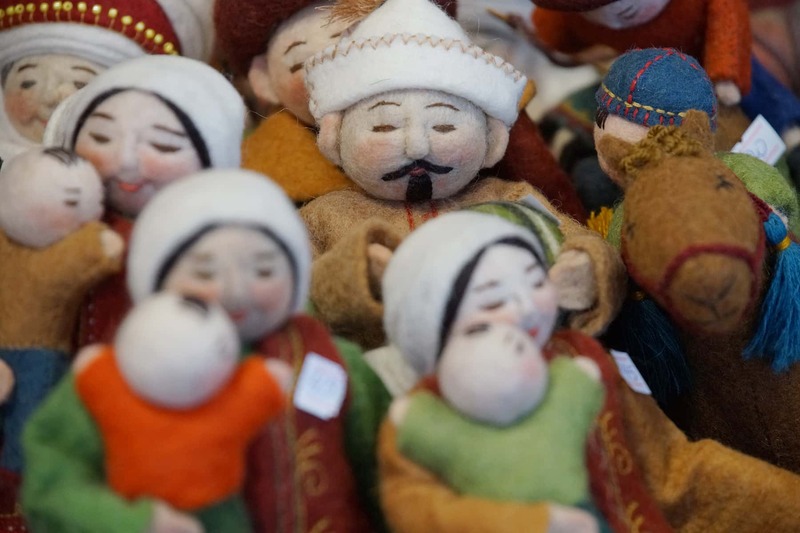 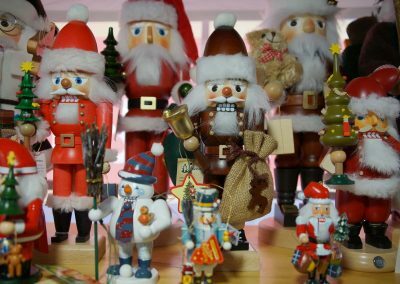 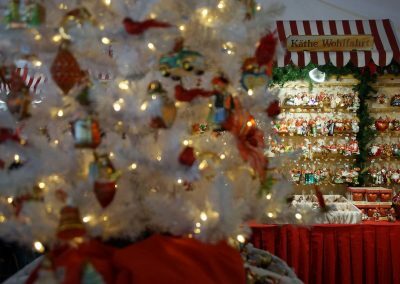 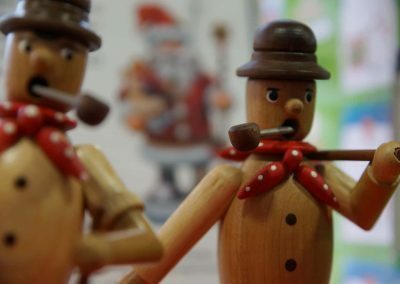 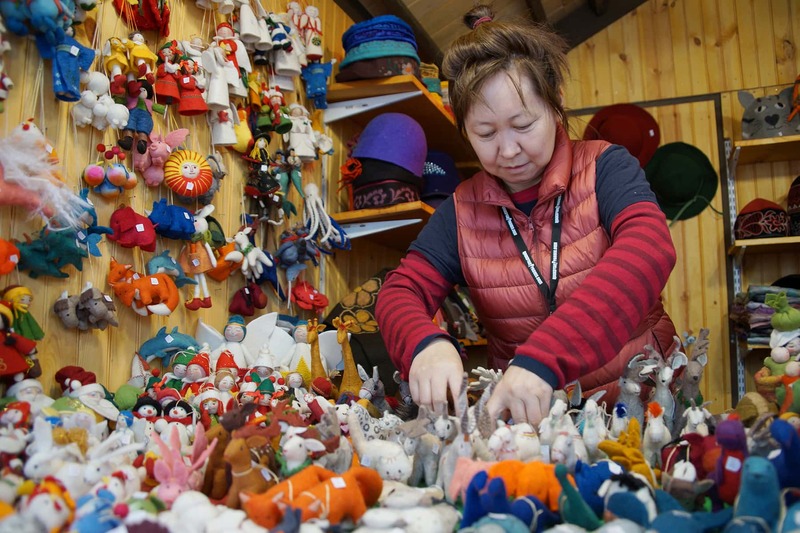 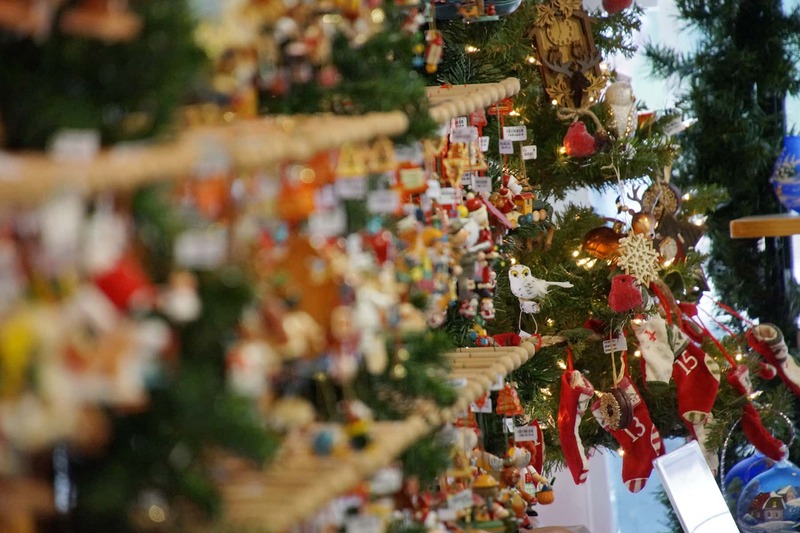 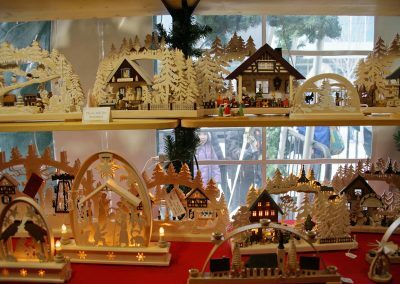 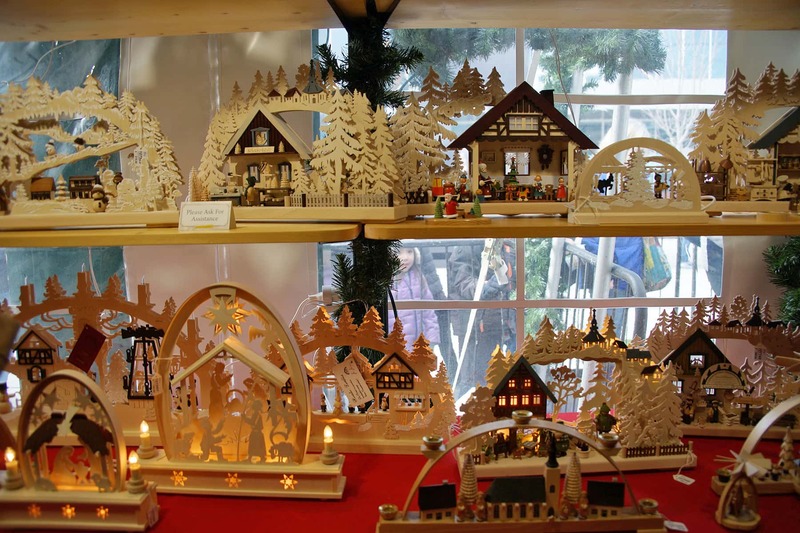 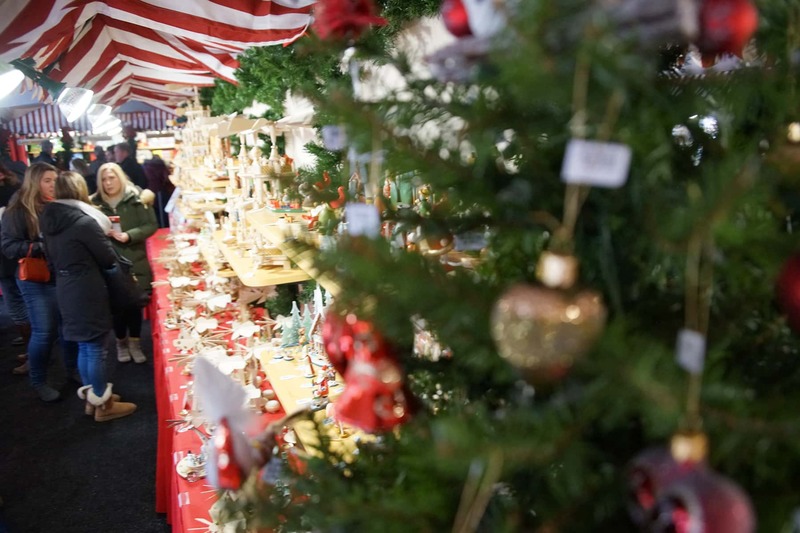 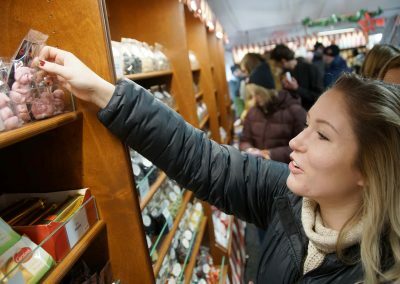 Featured are around 30 vendors from Germany, Europe, and around the world who display hand-crafted ornaments, toys, and unique holiday gifts in traditional candy cane striped wooden huts. 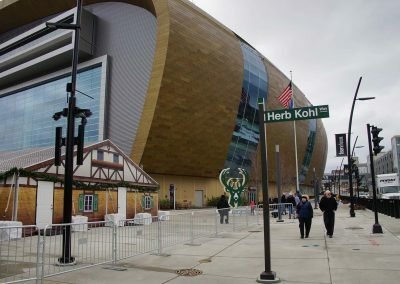 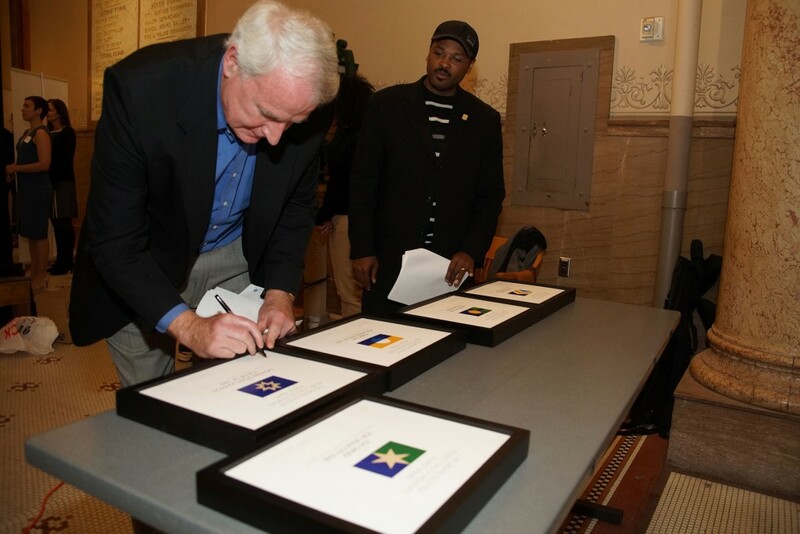 “Milwaukee has such a deep German heritage, and the State of Wisconsin has many cultural traditions from Germany. 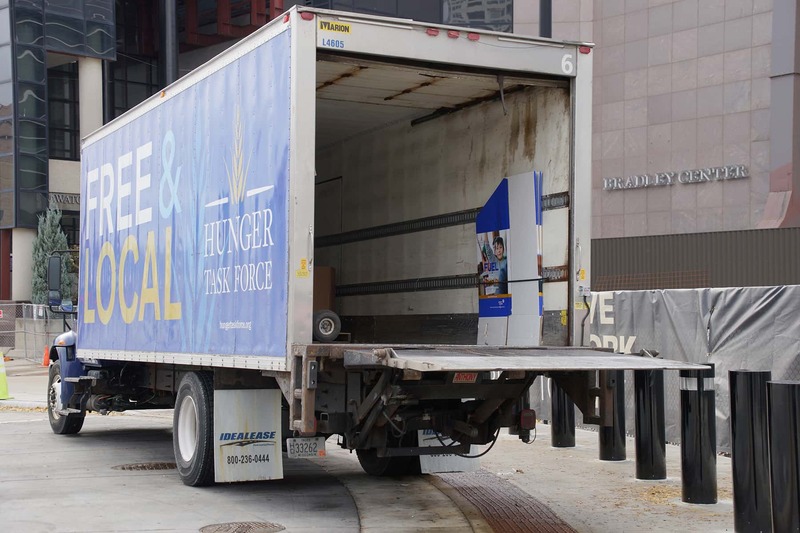 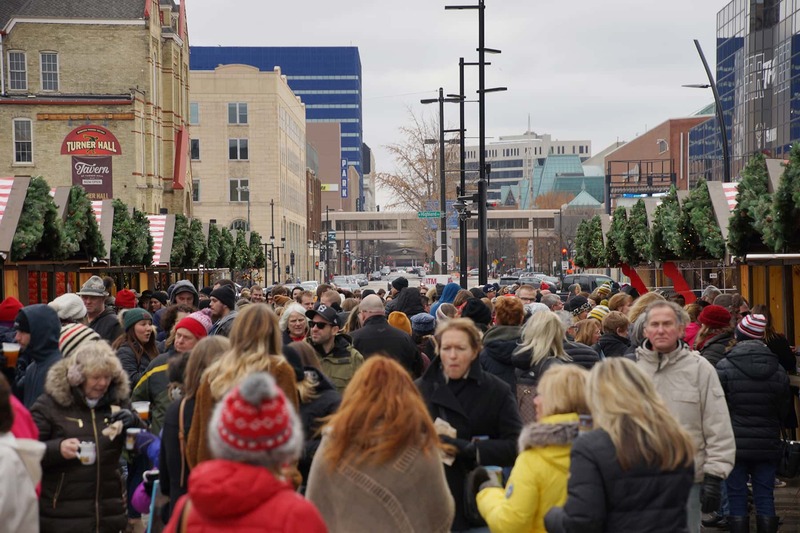 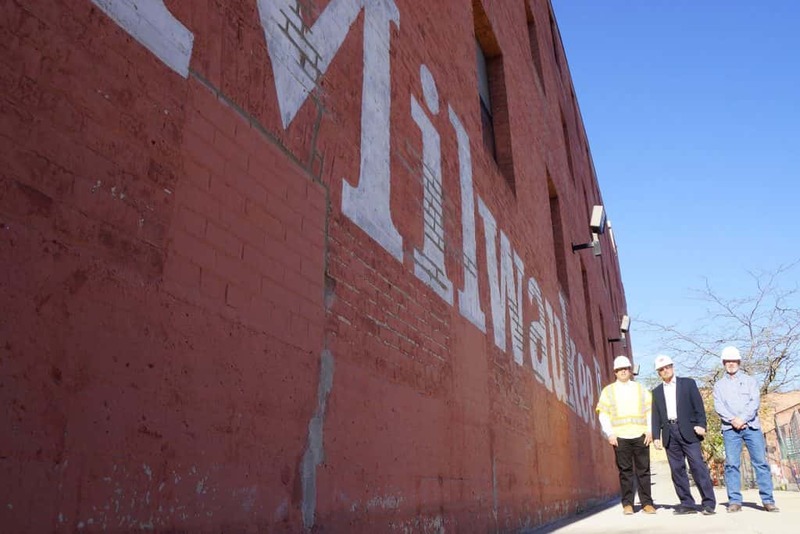 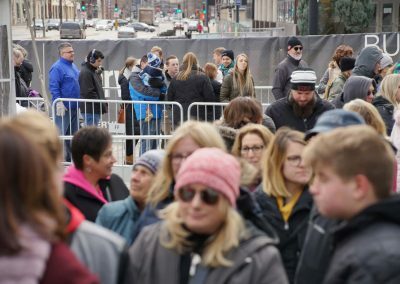 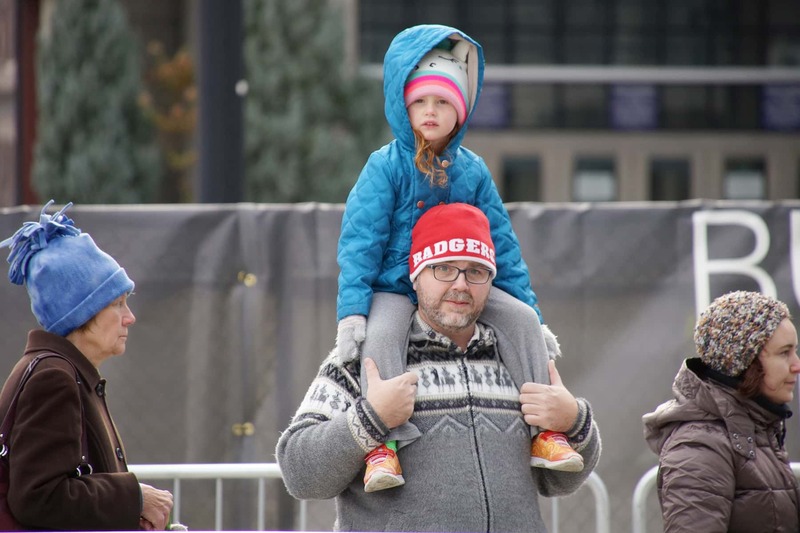 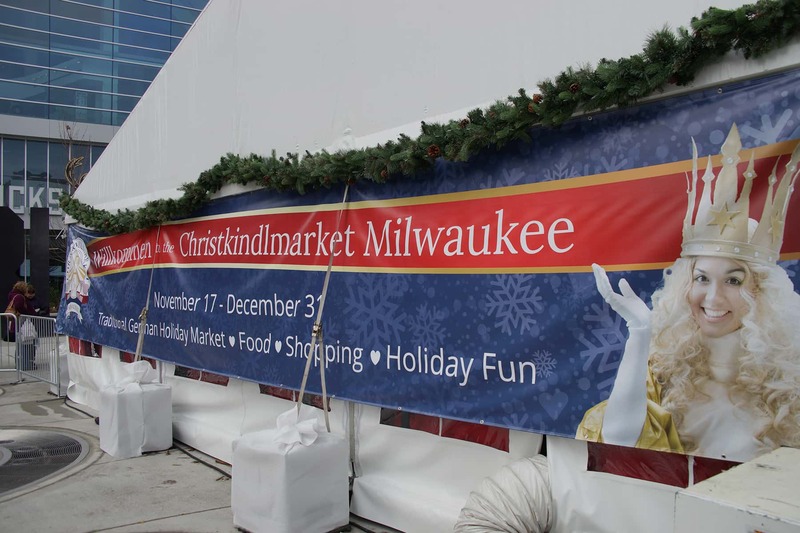 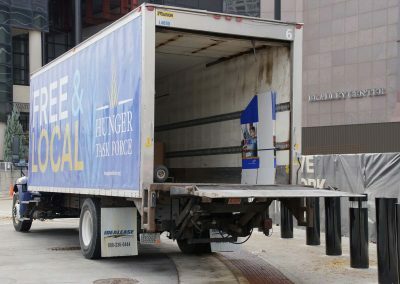 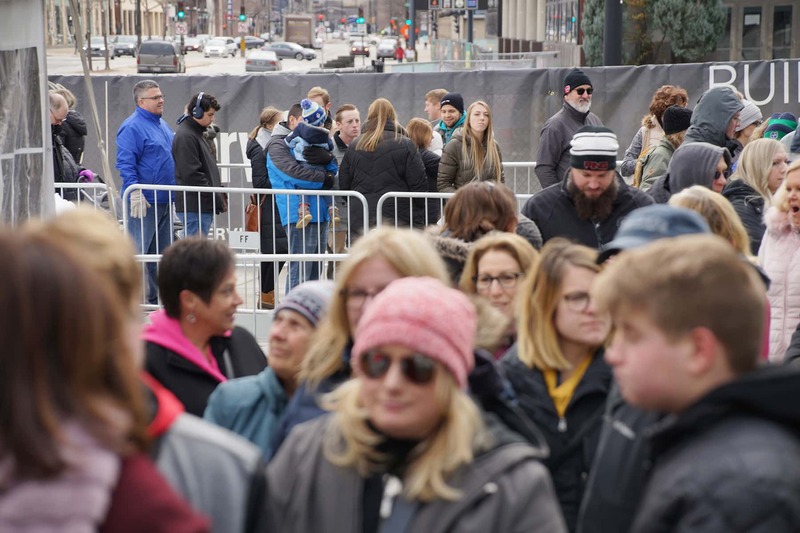 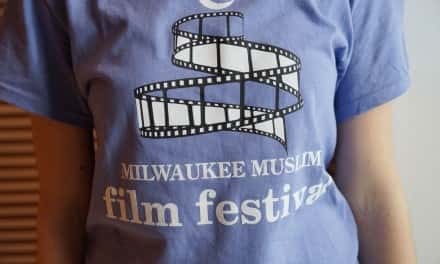 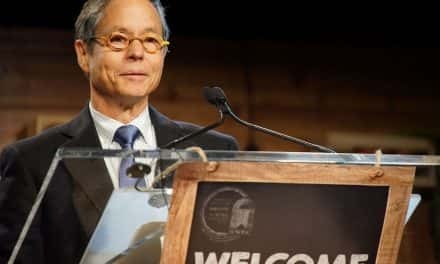 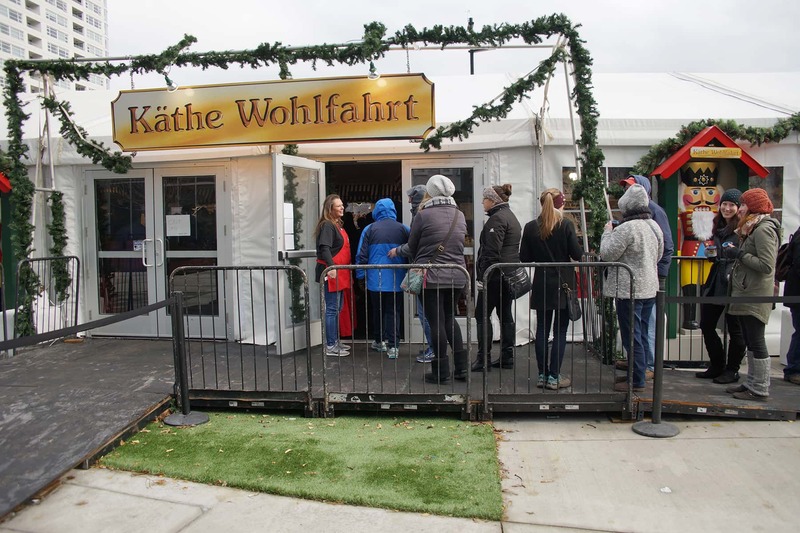 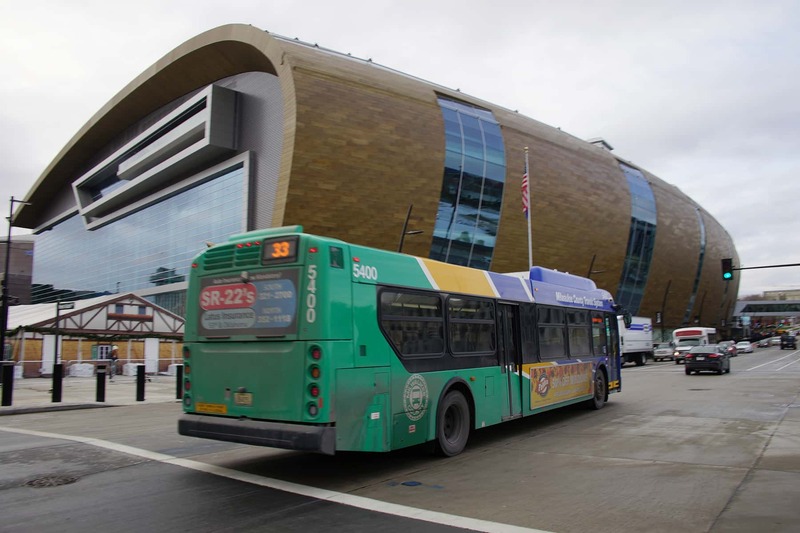 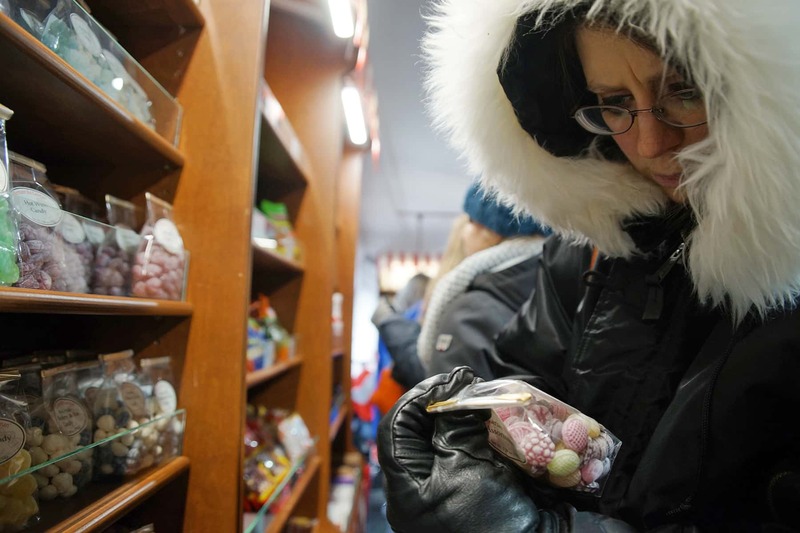 We are really excited to have Milwaukee as our first site outside of the Chicago area,” said Kate Bleeker of German American Events, the Chicago-based company managing the Christkindlmarket. 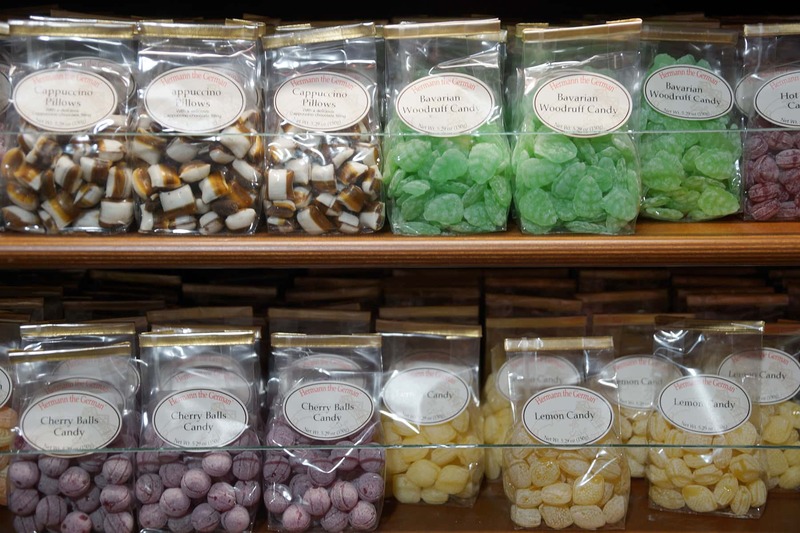 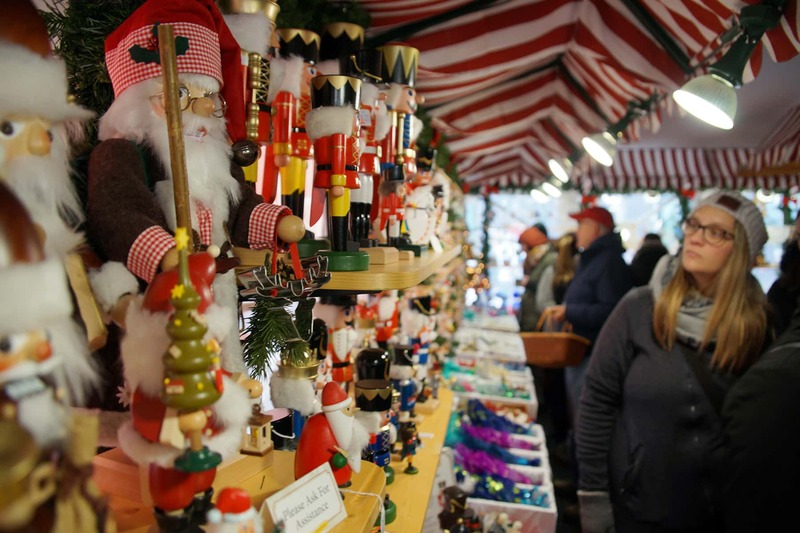 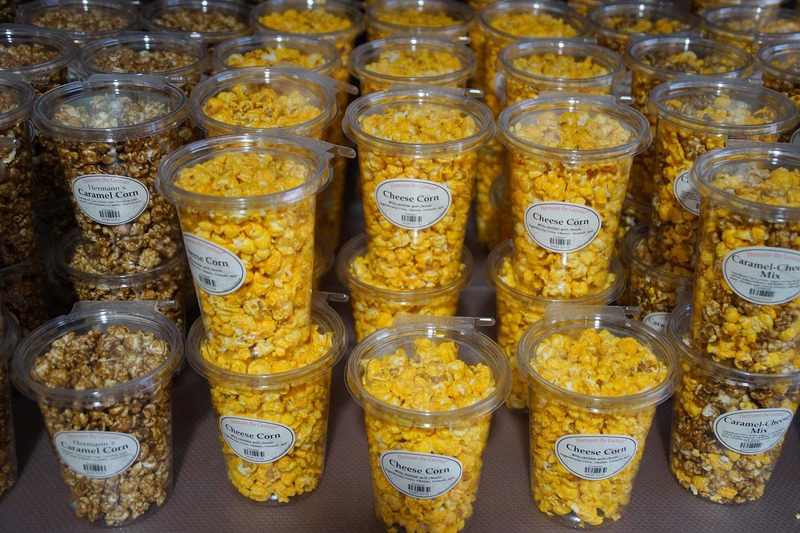 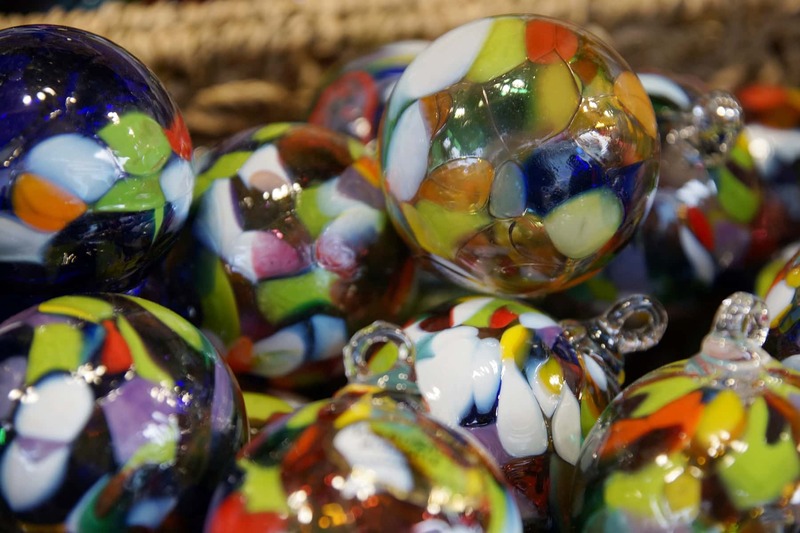 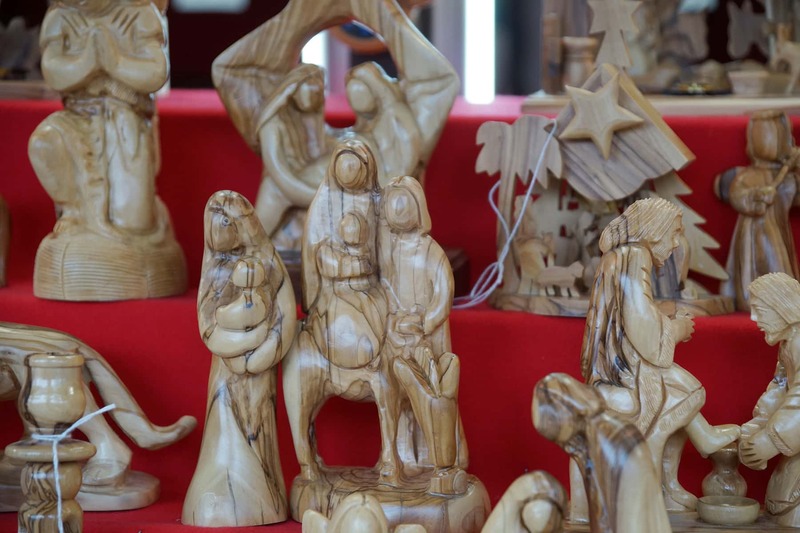 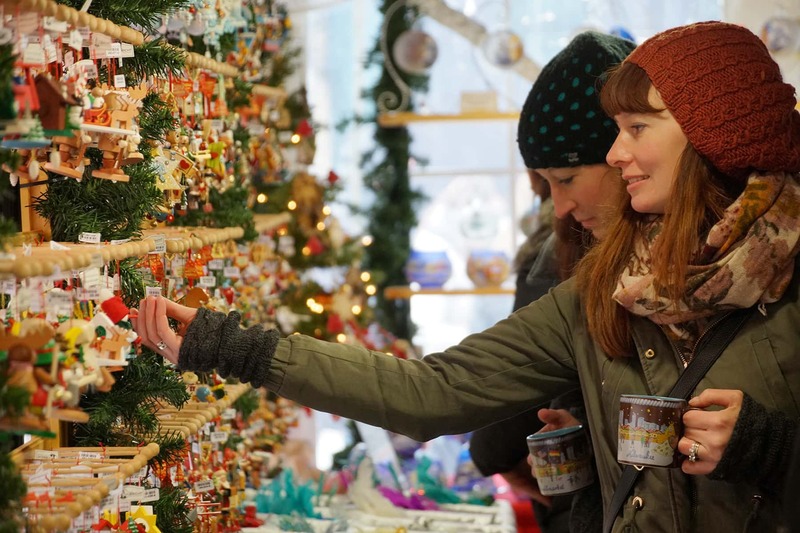 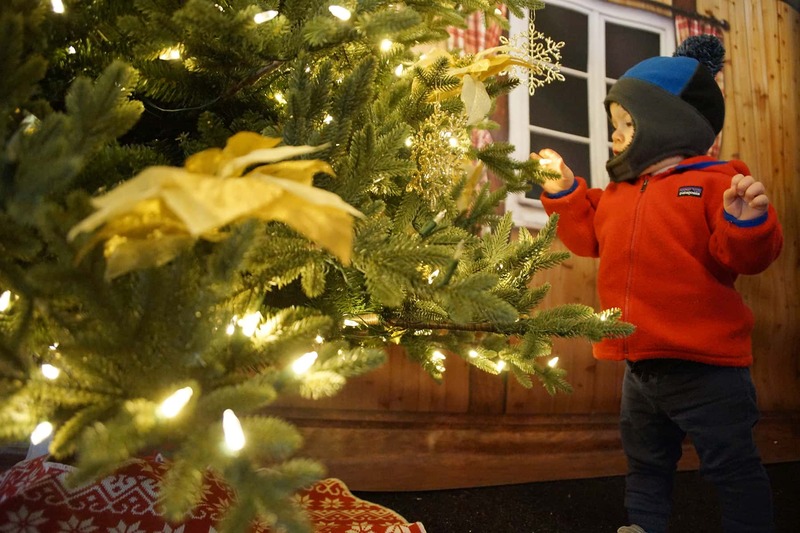 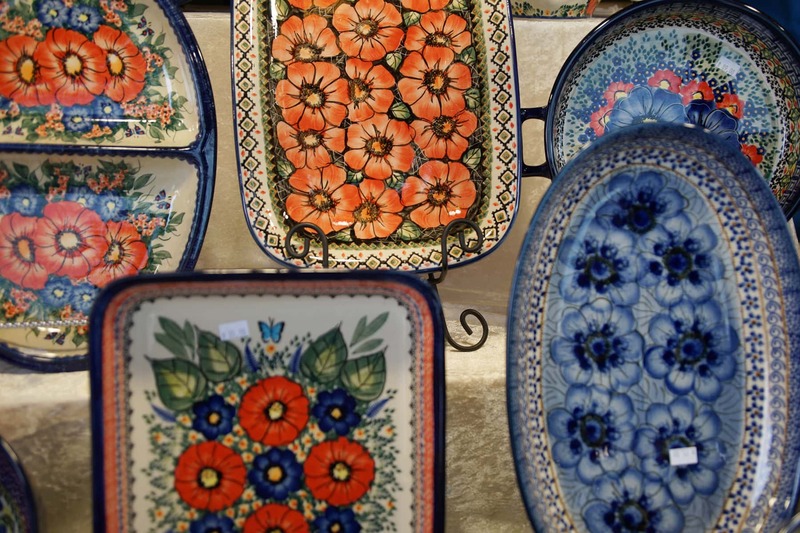 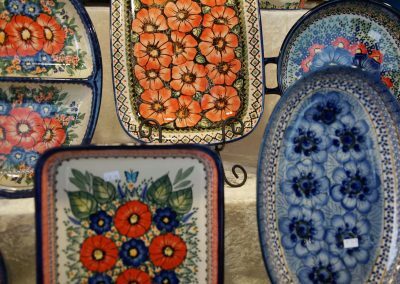 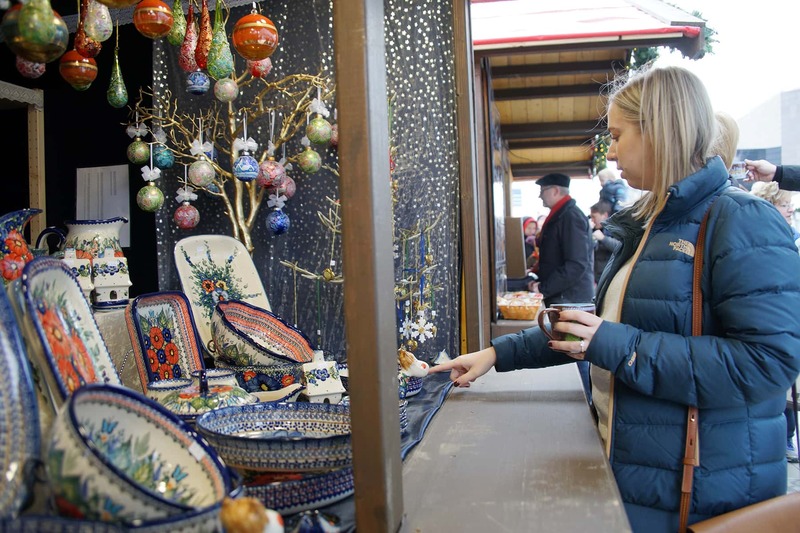 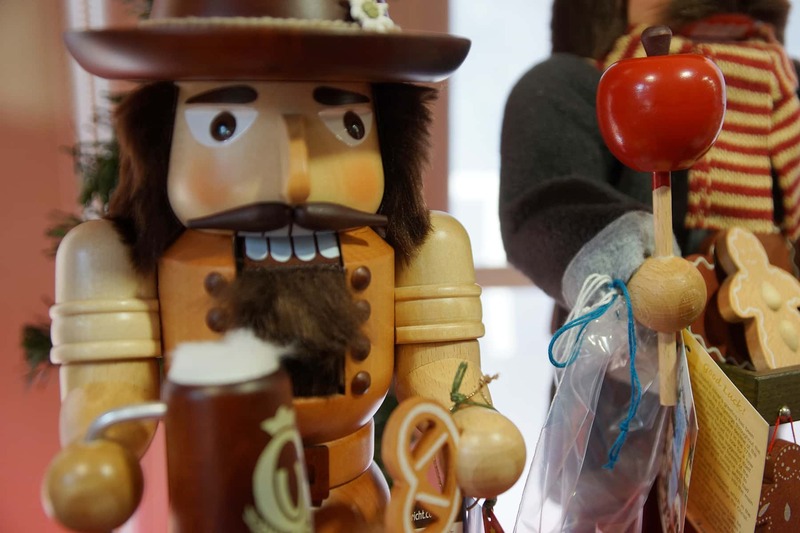 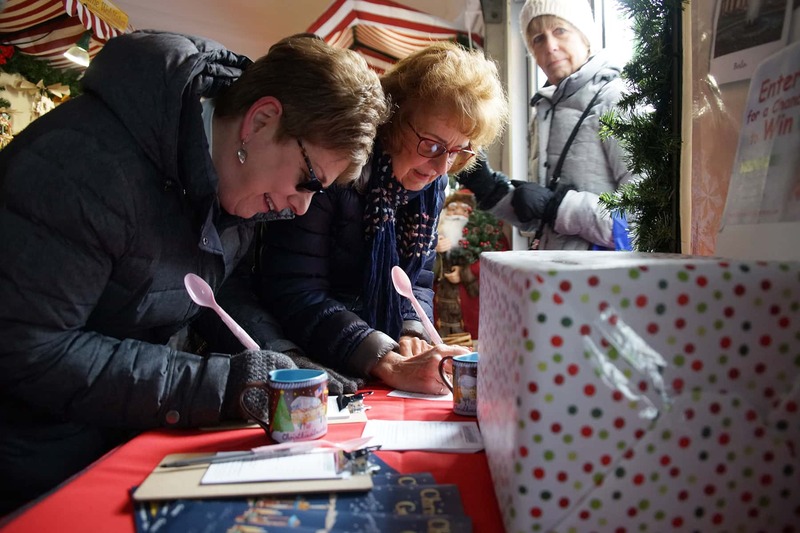 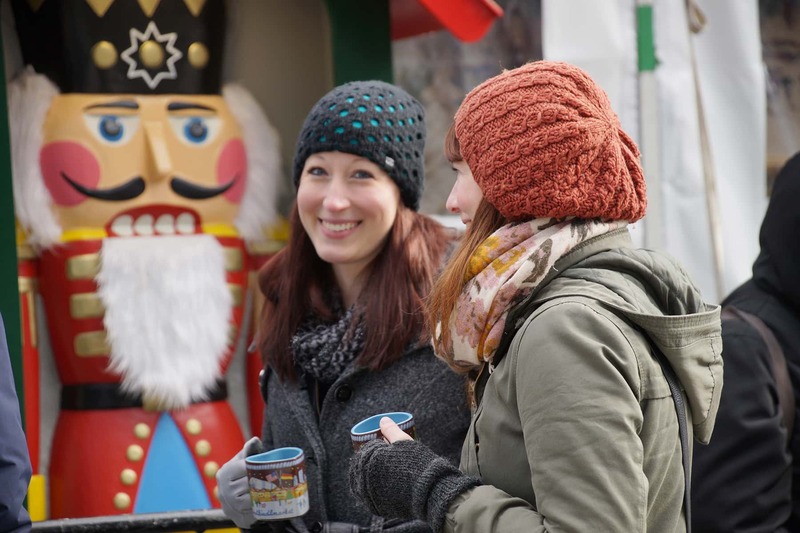 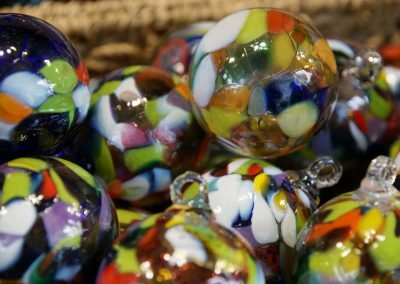 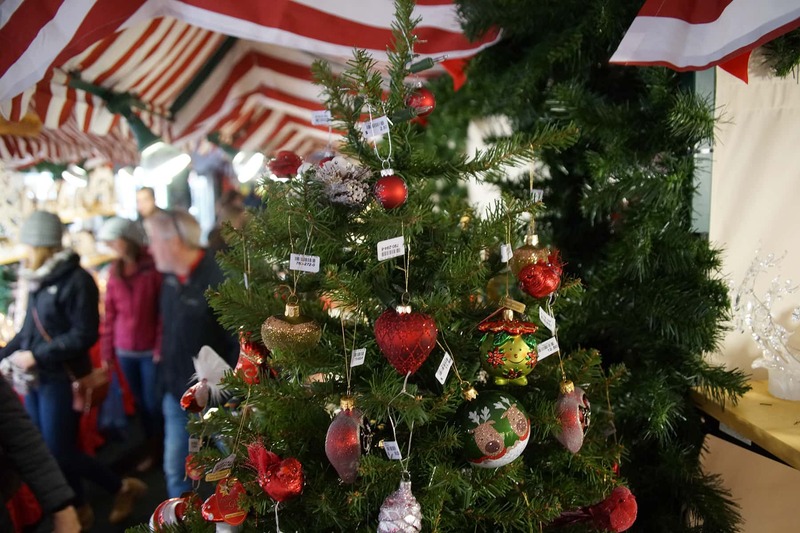 Modeled after the classic German holiday market in Nuremberg, Germany, the free outdoor emporium includes family activities with traditional German food, treats, and drinks. 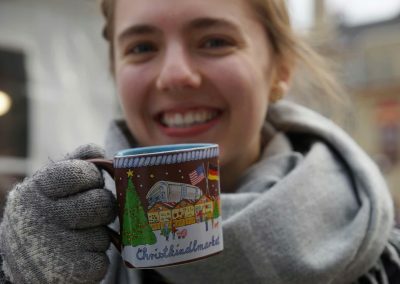 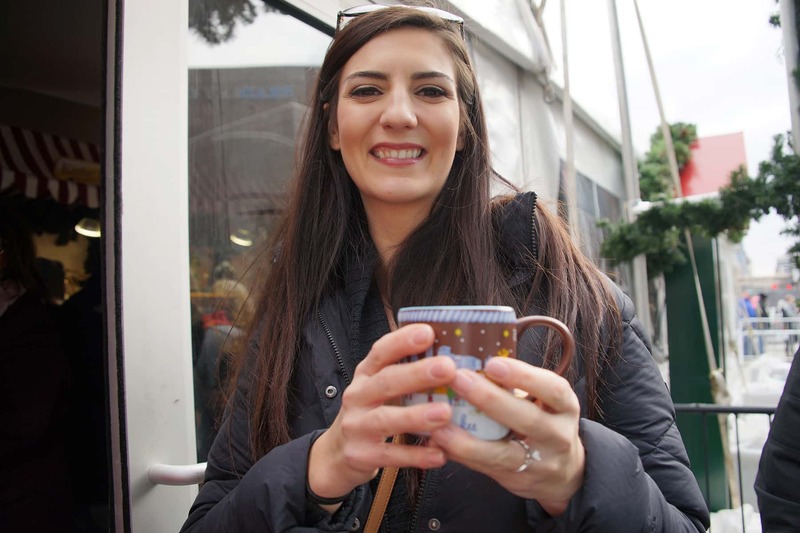 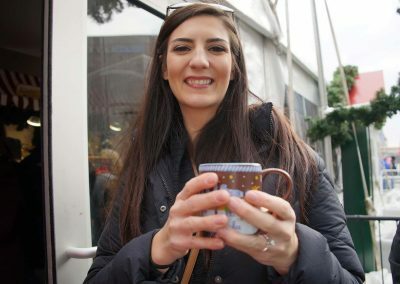 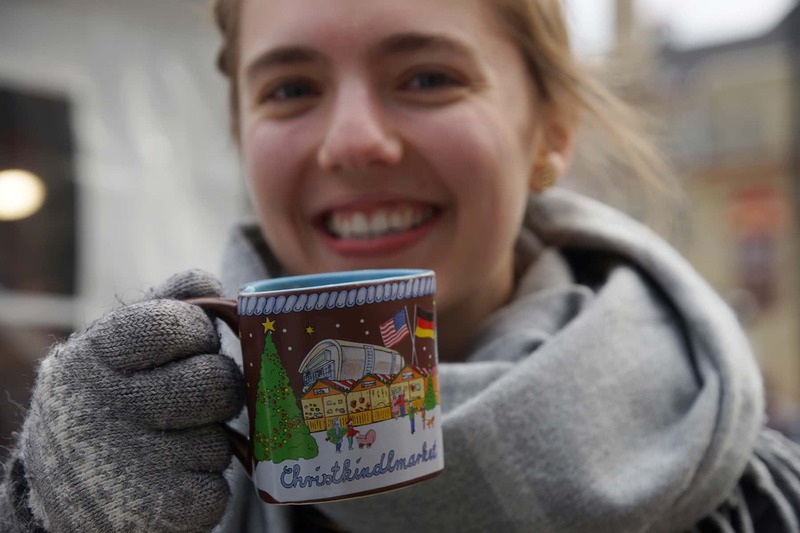 The inaugural festival’s collectable mug for drinking hot beverages was fashioned into a heart-shaped design, paying tribute to this year’s theme of “Ich liebe Christkindlmarket” (“I love Christmas market”). 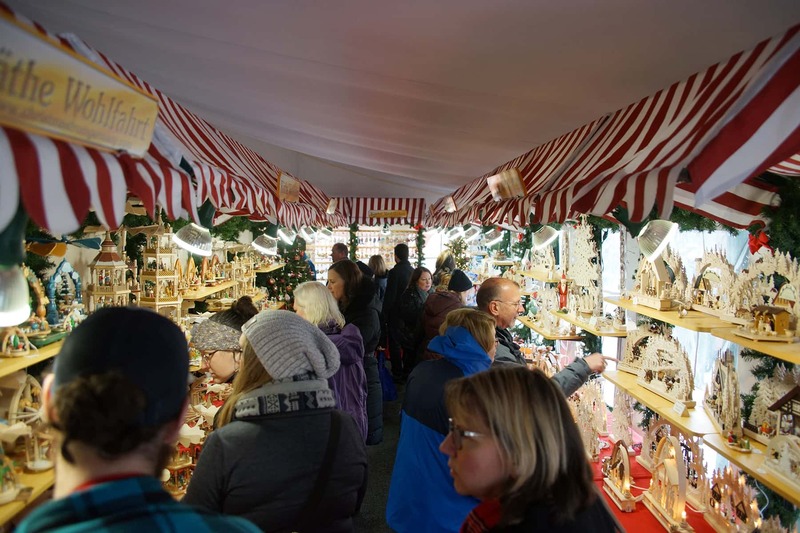 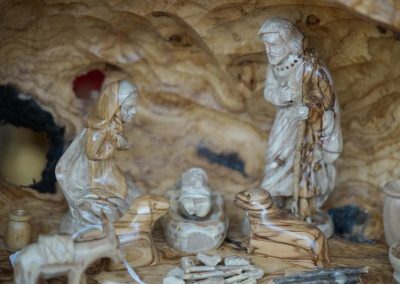 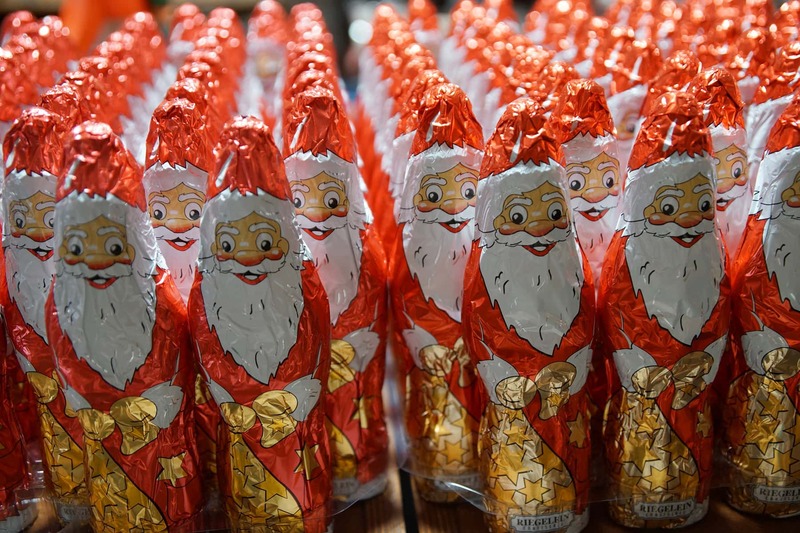 Across many towns in Germany and Austria, Advent is usually ushered in with the opening of the Christmas market, also known as Christkindlmarkt, Marché de Noël, Weihnachtsmarkt, and Christkindlesmarkt – literally means “Christ child market”). 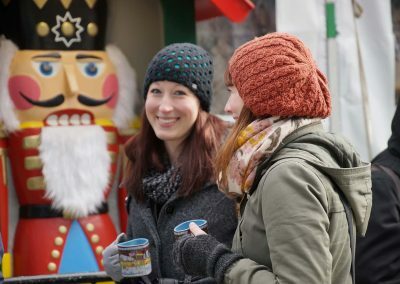 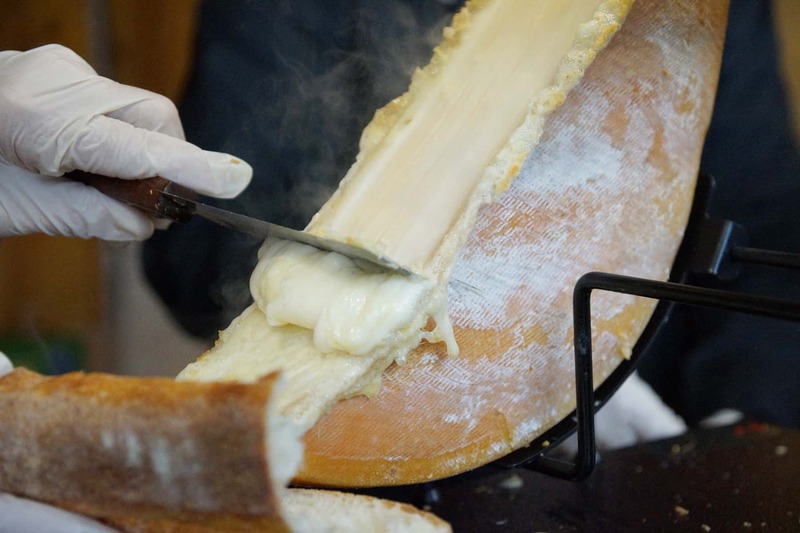 Generally held in the town square and adjacent pedestrian zones, the market sells food, drink, and seasonal items from open-air stalls, accompanied by traditional singing and dancing. 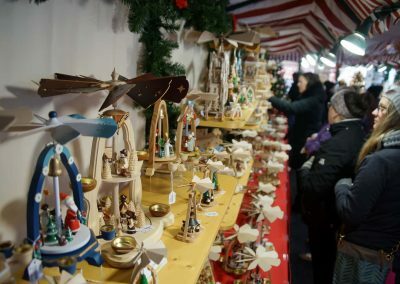 The history of Christmas markets goes back to the Late Middle Ages in the German-speaking part of Europe and in many parts of the former Holy Roman Empire. 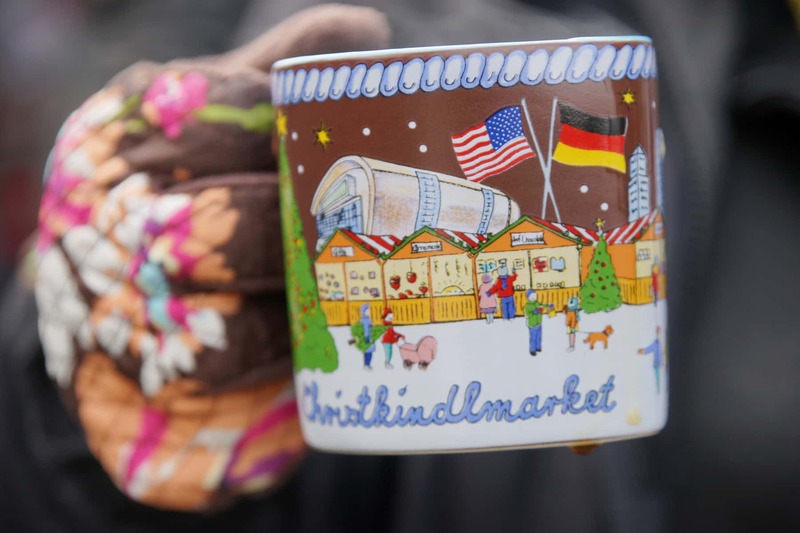 Dresden’s Strietzelmarkt was first held in 1434. 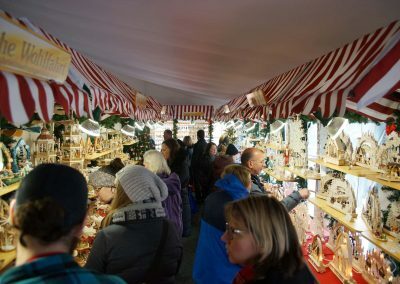 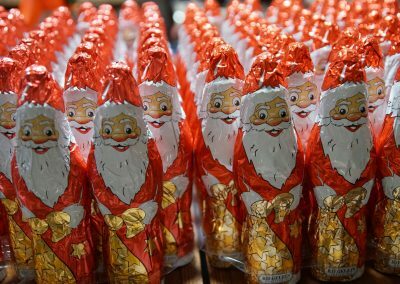 The Vienna “December market” was a kind of forerunner of the Christmas market and dates back to 1294. 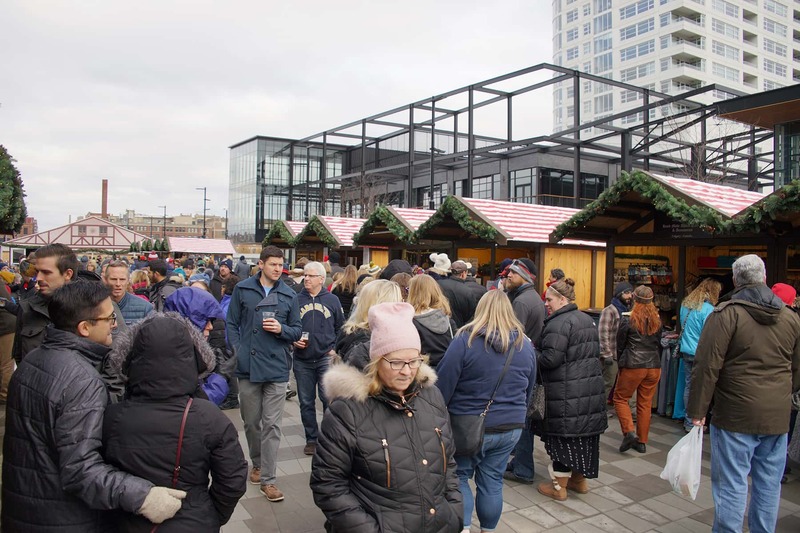 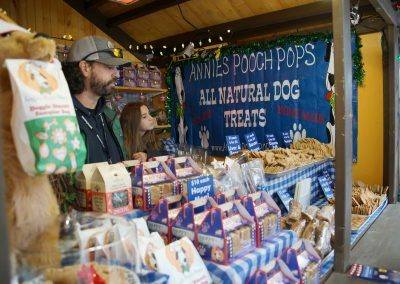 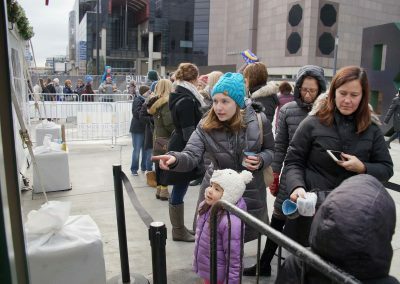 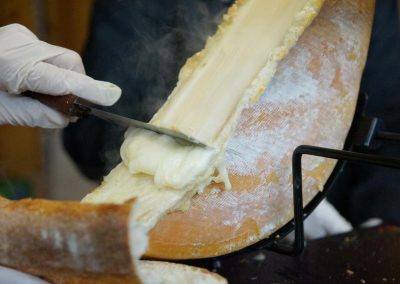 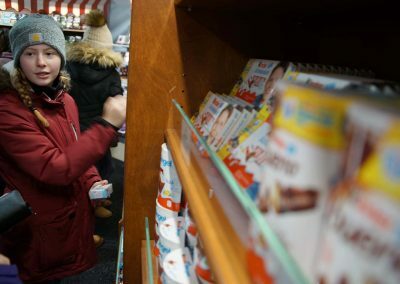 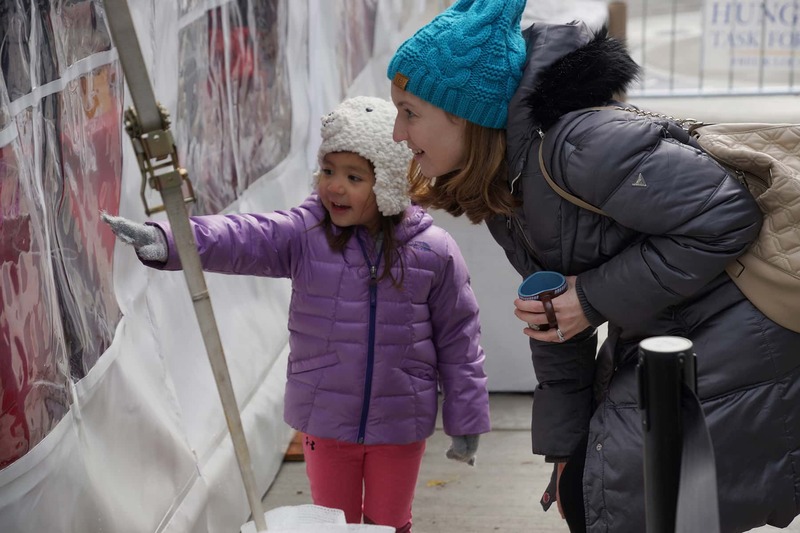 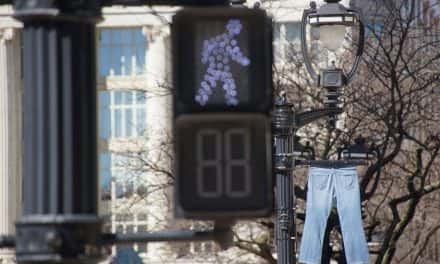 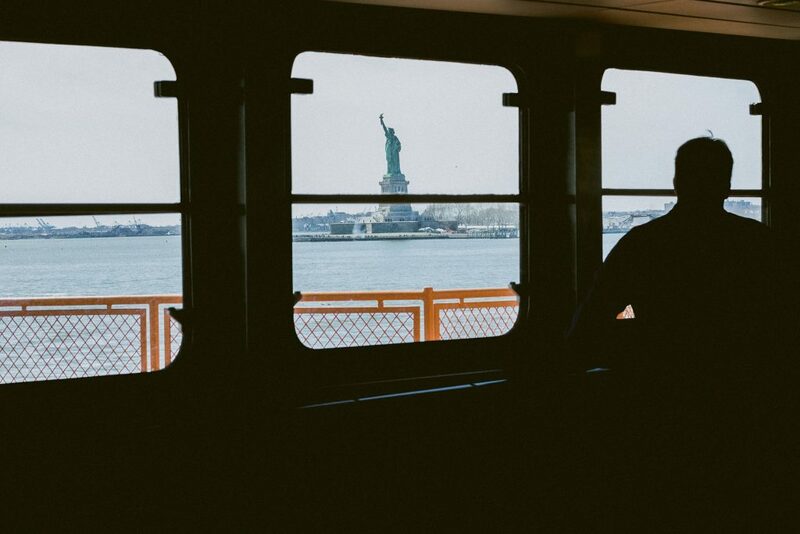 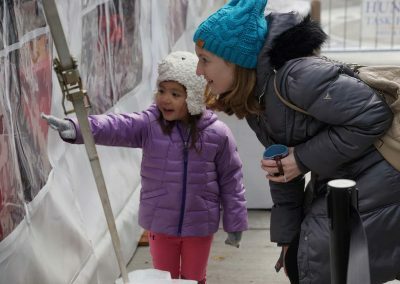 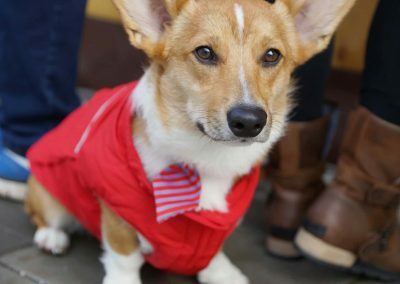 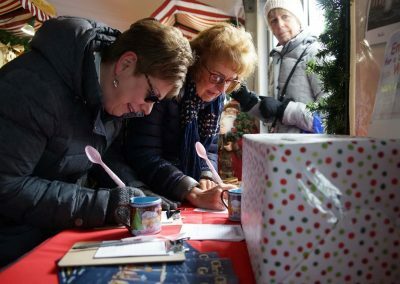 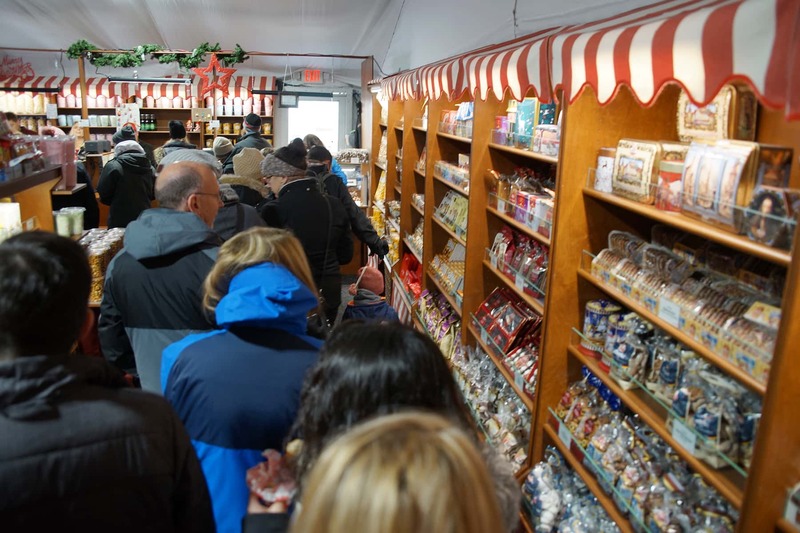 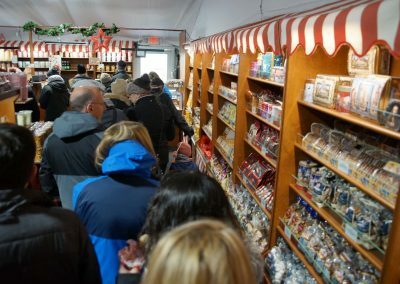 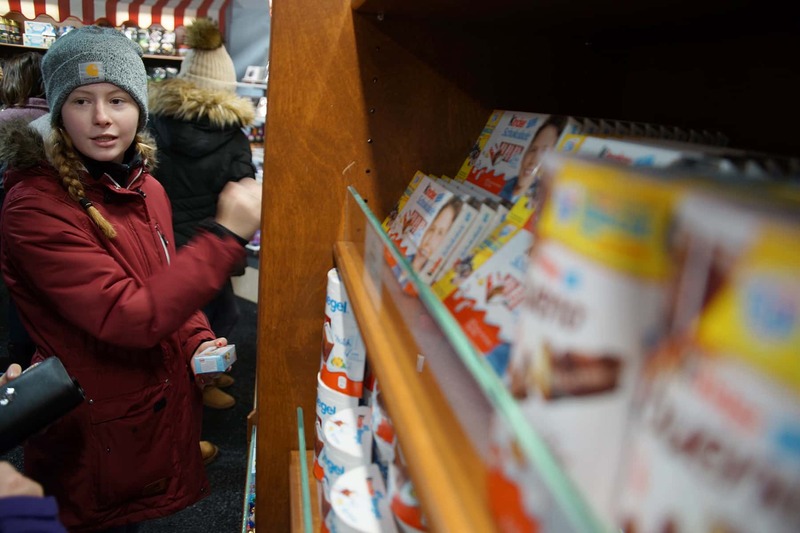 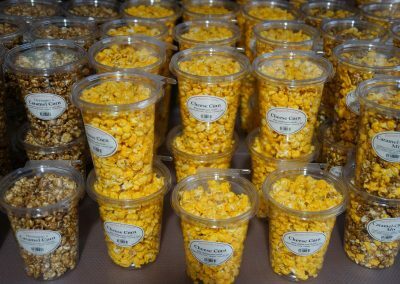 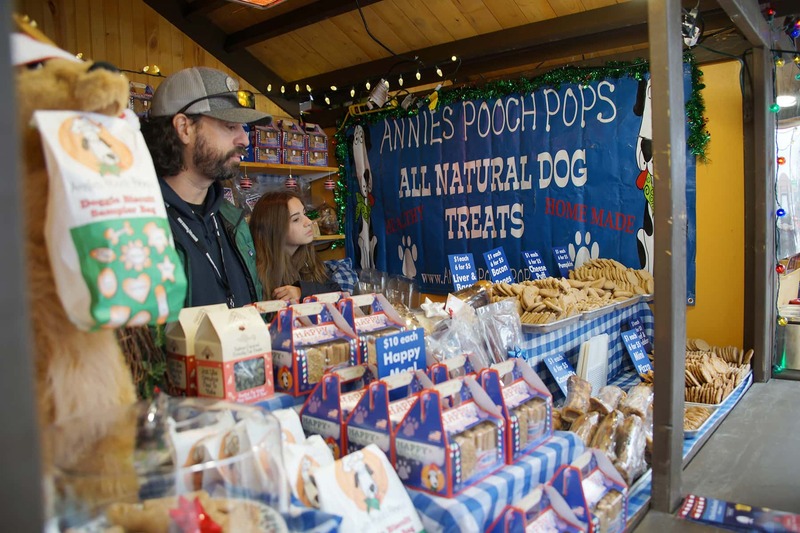 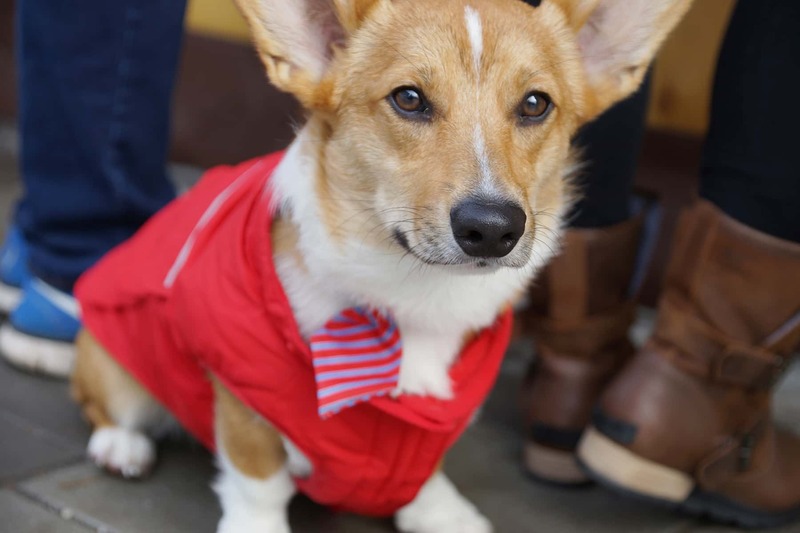 These images feature highlights from the opening day around the holiday market, which greeted visitors with a nostalgic experience from the city’s once vibrant German community.